The BSR Conference is the only event specifically developed and produced for you—corporate sustainability leaders who devote each day to building a better world. Our sessions help you stay ahead of the curve and enable you to bring powerful action items back to your companies and organizations. One of the most effective ways to create change is to envision how the steps we take today will affect our future selves and our planet. Engage in rapid-fire brainstorming as we design a bold shared vision of the future 5, 10, and 20 years from now. It may not be realistic for every campaign to “go viral,” but an authentic sustainability story can break through the noise and help you connect with your audience. Learn new tools and techniques that bring sustainability to the forefront of your brand. 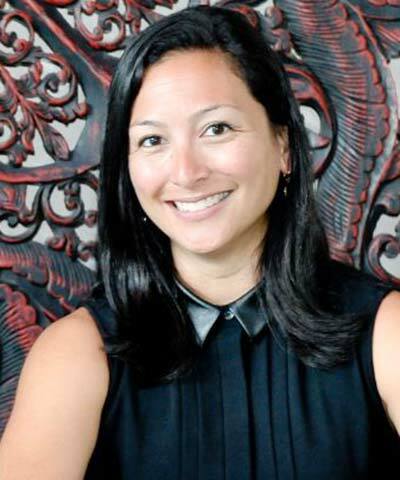 As Chief Marketing Officer for the Human Rights Campaign (HRC), Anastasia Khoo and her team have led historic marketing efforts associated with three U.S. Supreme Court cases, federal legislation, four election cycles, and many other media moments. 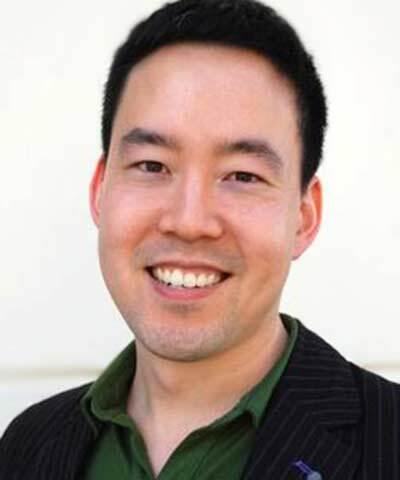 Khoo was the architect behind many of HRC's high-profile campaigns, including "The People's Brief," the largest public brief ever submitted to the Supreme Court, with more than 200,000 signatures in support of marriage equality. In 2013, she led the "red equal sign" campaign that engaged approximately 10 million people in support of the marriage equality cases going to the U.S. Supreme Court. Facebook declared the campaign one of the most successful viral efforts in the site's history. As a reporter for The New York Times’ Sunday Business section, David Gelles writes about tech, sustainability, executive compensation, and more. 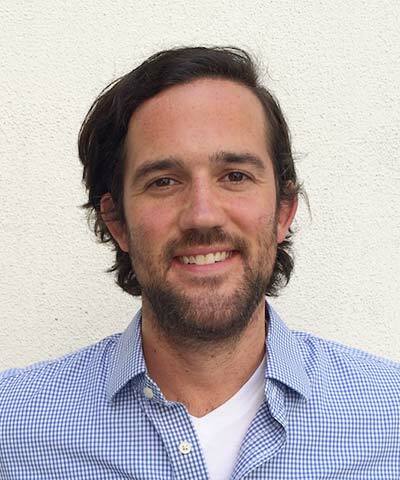 He also writes the “Revalued” column, which covers social and environmental responsibility in the business world, and he is working with the Well team to expand the paper’s coverage of meditation. 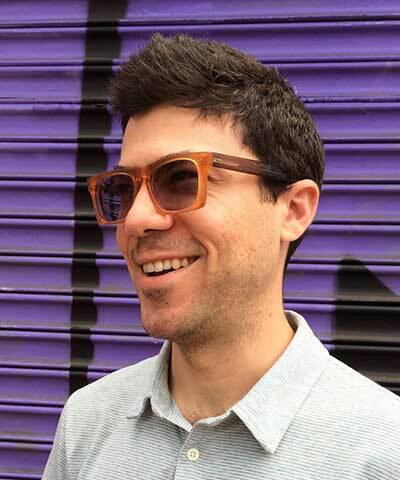 Before joining Sunday Business, Gelles was a reporter at DealBook, The New York Times’ Wall Street blog, covering mergers, acquisitions, corporate taxes, and inversions. Previously, he covered mergers, acquisitions, media, and technology for the Financial Times, for which he conducted an exclusive jailhouse interview with Bernard L. Madoff. Gelles is also the author of Mindful Work: How Meditation Is Changing Business From the Inside Out. 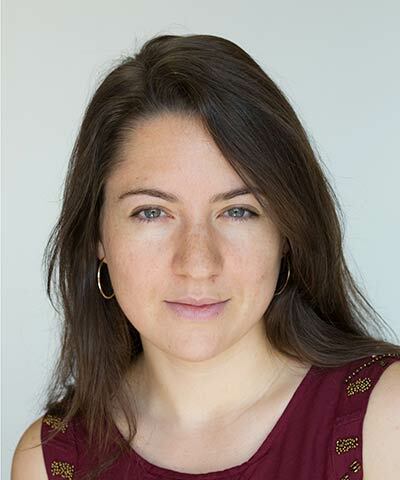 Melanie Janin oversees communications strategy and activities for BSR, managing a team of communications experts supporting the organization’s work globally. In this role, she creates communications platforms and programs that advance BSR’s mission of working with business to create a just and sustainable world. 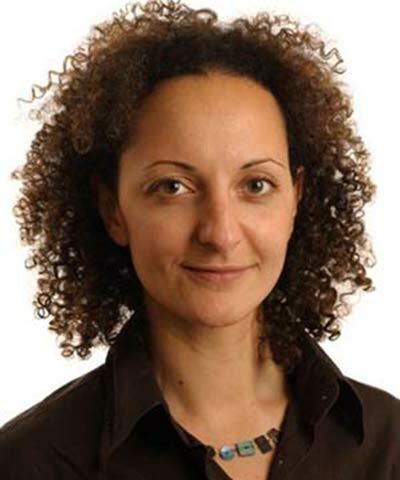 She is responsible for marketing and communications with members and other companies, as well as civil society, international organizations, and media. 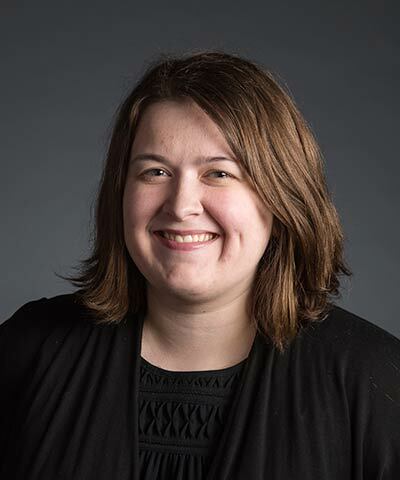 With her team, she ensures content and editorial excellence for all materials and reports released by the organization. She also leads brand strategy, digital communications, media relations, and the annual BSR Conference. Large companies today face challenges from dynamic startups, new business models, and changing consumer expectations. Are size, tradition, and physical assets barriers to innovation or assets traditional companies can use to bring new, sustainable products and services to market? 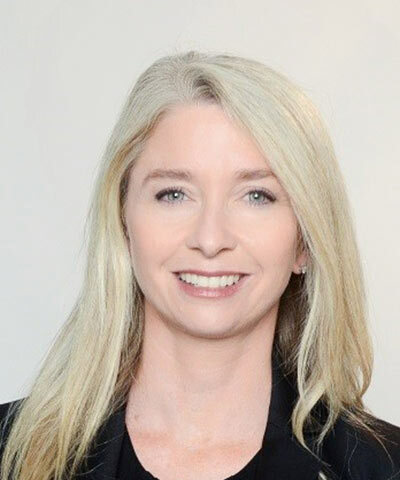 Caroline Roan oversees corporate responsibility at Pfizer, leading a team based in New York, Switzerland, and South Africa that is responsible for everything from stakeholder engagement and reporting to the design of social investment strategies. During her tenure, Pfizer has refined its strategy to better support the company’s evolving business priorities. The resulting corporate responsibility portfolio is a coordinated approach to strategic philanthropy and responsible investment. 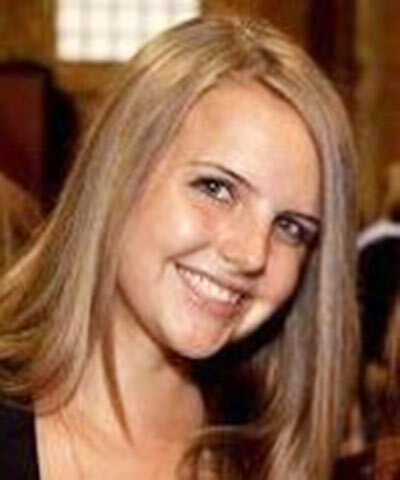 In 2012, Roan served as a David Rockefeller Fellow through the Partnership for New York City. She currently serves on the U.S. Global Leadership Campaign, the advocacy arm of the U.S. Global Leadership Coalition. 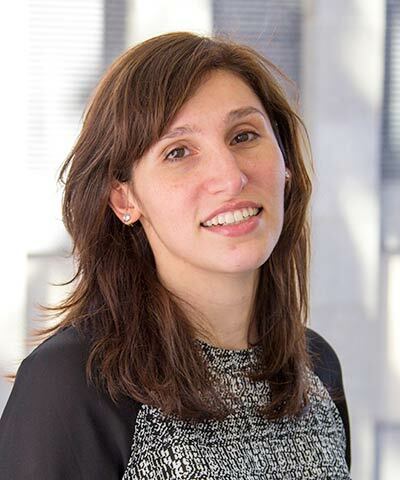 Global Initiatives Lead, Sustainability and Social Innovation | HP Inc.
Angie Farrag-Thibault leads BSR's transport and logistics practice, working with companies and stakeholders across the global value chain to advance climate-resilient and inclusive transport and logistics supply chains. In this role, she steers BSR’s Clean Cargo Working Group and award-winning Maritime Anti-Corruption Network. She also leads the strategic and operational oversight management team for BSR’s global portfolio of more than 20 collaborative initiatives. Farrag-Thibault has more than 15 years of experience working with leading companies and stakeholders on sustainability management. Previously, she worked at Deloitte Touche Tohmatsu and Andersen in London, where she provided strategic advisory and sustainability report assurance services to companies across sectors. Join the debate on sustainability reporting and understand the implications for your strategy: Should companies share real-time performance data, or focus on long-term trends that demonstrate big-picture challenges and progress over time? 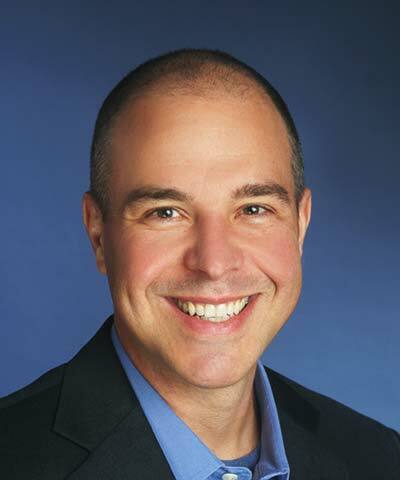 Evan Harvey manages all corporate sustainability, philanthropic, and volunteering efforts for Nasdaq, including internal management of systems and disclosures, as well as external engagement with public companies, institutional investors, advocacy groups, and other stock exchanges. He sits on the U.S. Network Board for the United Nations Global Compact and the advisory board for the CECP Strategic Investor Initiative. 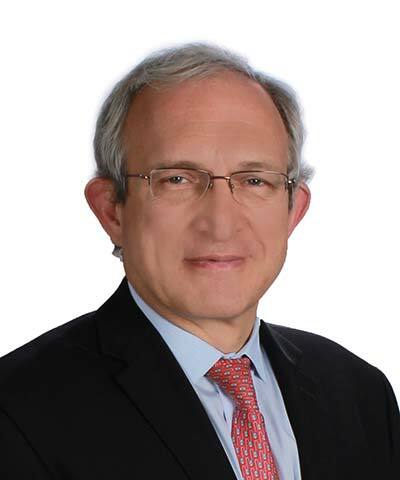 He previously served as the first Chairman of the World Federation of Exchanges (WFE) Sustainability Working Group and an Advisory Board Member for the Sustainability Accounting Standards Board (SASB). 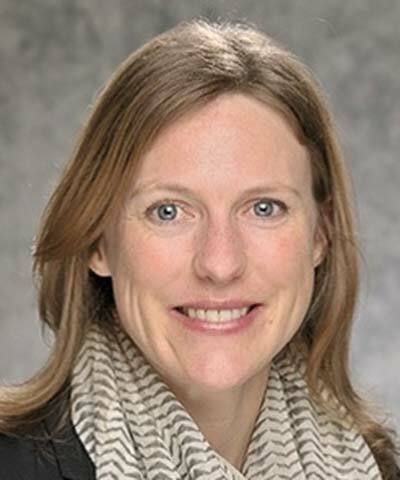 Head of Sustainable Business Programs | Bloomberg L.P.
Renée Morin manages stakeholder relations for the Hewlett Packard Enterprise (HPE) Living Progress team. Her responsibilities include providing technical counsel to the renewable energy development team; managing relationships with key NGO partners; overseeing the HPE response to the CDP and the Dow Jones Sustainability Index surveys; and developing the annual Living Progress Report. Morin has more than 15 years of experience consulting globally on sustainability strategy, climate change, and life cycle assessment. 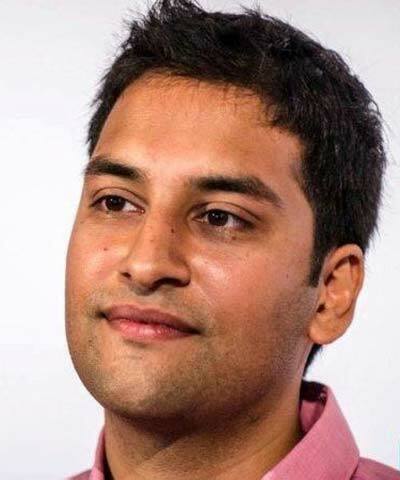 As Executive Director of the open-source platform WikiRate, Vishal Kapadia helps corporations become more transparent and responsive by making data about their social and environmental impacts useful and available to all. WikiRate is working with GRI, UNGC, and other civil society organizations to help define and handle metrics, which facilitate dialogue between companies and their stakeholders on their corporate ESG performance. 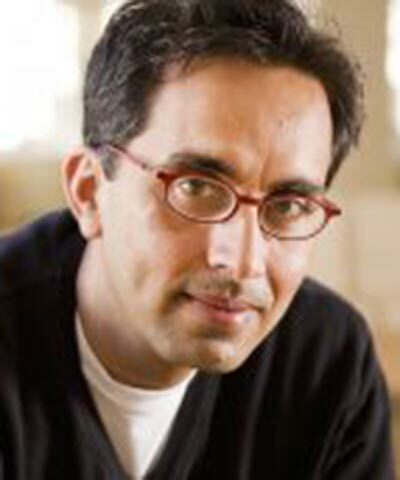 Kapadia’s previous research and roles span marketing, entrepreneurship, technology, and the intersection between neuroscience and economics. 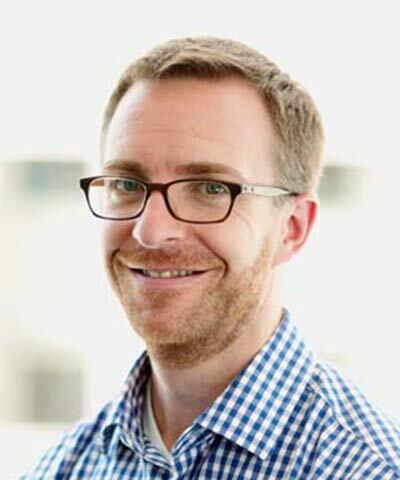 Dunstan Allison-Hope leads BSR’s information and communications technology (ICT) and heavy manufacturing practices, and coleads BSR’s sustainability management practice. 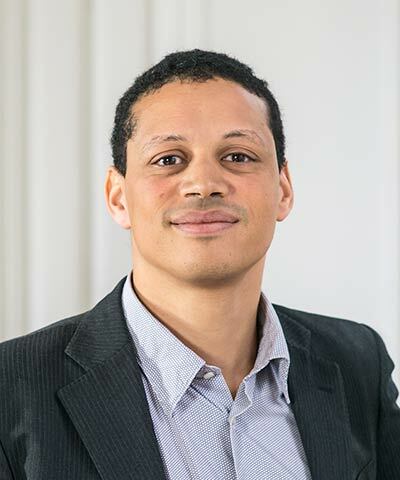 He works on a diverse range of issues, including privacy and freedom of expression, sustainability reporting, sustainability strategy, human rights, and stakeholder engagement. Allison-Hope facilitated the multistakeholder process of developing global principles on freedom of expression and privacy, which led to the launch of the Global Network Initiative. He also helped create the Electronic Industry Citizenship Coalition (EICC), and he participated in the process of creating the Global Reporting Initiative G3 guidelines. He is coauthor of the 2010 book Big Business, Big Responsibilities. 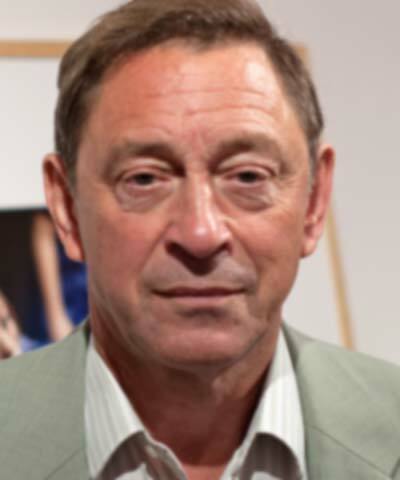 Prior to joining BSR in 2004, Dunstan was part of British Telecommunications' corporate responsibility team. Developments like the #BlackLivesMatter movement in the United States and the resettlement of refugees in Europe are creating heated debates on systemic discrimination. What is the role of companies as influencers, and should business leaders take a stand on these issues? When it comes to wealth inequality, stakeholders are looking at how companies are approaching living wage commitments and whether they are helping build an inclusive economy. How should business take a stance on this subject, which affects both developing and developed economies? 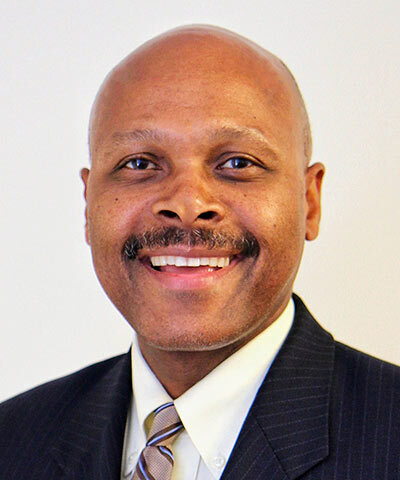 Maurice Jones brings a career’s worth of business, management, and policy experience—and an enduring personal commitment to improving communities and the lives of low-income Americans—to his role as President and CEO of LISC. Previously, Jones was the Secretary of Commerce for the Commonwealth of Virginia, Deputy Secretary in charge of operations at the U.S. Department of Housing and Urban Development (HUD), Commissioner of Virginia’s Department of Social Services, Deputy Chief of Staff to Virginia Governor Mark Warner, and he served in the U.S. Treasury Department during the Clinton Administration. His private-sector experience touches on media, law, and philanthropy, with top positions at the Virginian-Pilot, a Richmond law firm, and a private philanthropy in Washington, D.C.
At Mastercard, Walt Macnee has led a number of global initiatives to create meaningful public-private partnerships. He also founded the Mastercard Center for Inclusive Growth, which combines research and direct philanthropy to identify ways to support inclusive growth economies. Prior to Mastercard, Macnee had a long career at Toronto Dominion Bank. He is currently Chairman of Convergence Finance and Chairman of the Queen’s University Centre for Social Impact, and he has also served on the UN’s High-Level Panel on Humanitarian Financing. 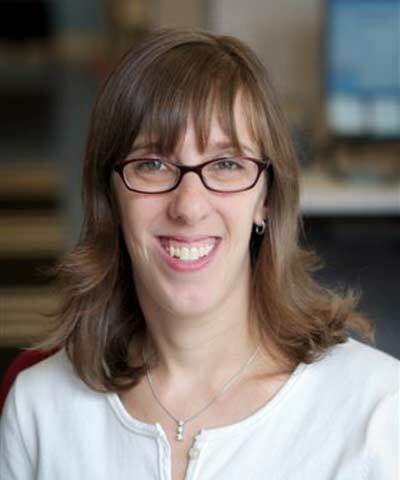 Susan Winterberg leads BSR’s inclusive economy practice, working with companies on creating good jobs, building diverse and inclusive workplaces, serving marginalized groups through products and services, and supporting local communities throughout global operations. Her global work experience has spanned more than 20 countries across the Americas, EMEA, and Asia. Prior to BSR, Winterberg was a Research Associate at Harvard Business School, where she focused on socially responsible approaches to corporate restructuring. Her research included automation and economic crises, the business and social benefits of creating good jobs, and how multinational companies can help workers and local communities build resilience to globalization. What will it take for businesses to reduce emissions and build resilience to reach the goals established in the Paris Agreement? How can businesses be bold in constructing the “well below 2°C” economy? Deborah Winshel leads BlackRock’s US$180 billion AUM sustainable and ESG investing platform, working with the firm’s global investments teams to develop scalable, innovative strategies. She also oversees BlackRock's Global Corporate Philanthropy program and is a Member of the firm’s Americas Executive Committee. 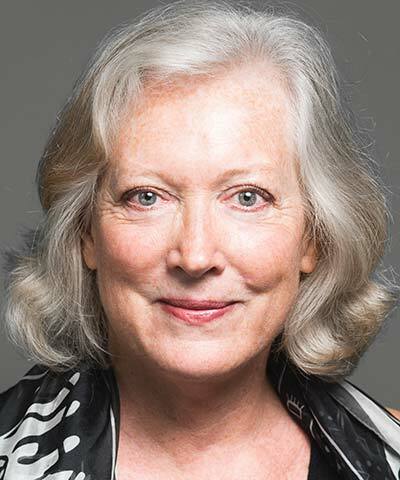 Prior to joining BlackRock, Winshel was President and Chief Operating Officer of The Robin Hood Foundation, and she also held positions as Executive Vice President, Chief Financial Officer, and Chief Administrative Officer of the Metropolitan Museum of Art. Prior to working in the nonprofit sector, Winshel was a Managing Director in investment banking at JP Morgan. She is a Member of the Financial Stability Board’s Task Force on Climate-related Financial Disclosures and the Economics Club of New York. Noel Morrin began working in sustainability 29 years ago and currently serves as Executive Vice President for Sustainability at Stora Enso. Prior to this, he worked as Group Senior Vice President for Sustainability and Green Support at Skanska AB, and before that he was Group Environment Director at RMC plc. 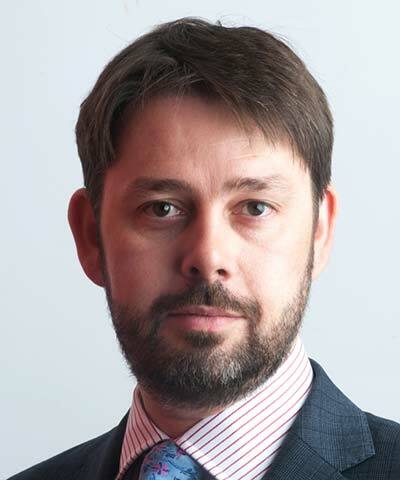 He has also held senior roles at the UK National Environmental Technology Centre, the British NGO Business in the Community, and the global chemical company ICI plc. His resume is full of corporate responsibility “firsts”: He was among the first to work on the business case for corporate environmental responsibility, greening supply chains, investment indices that led to the DJSI and FTSE4Good, and more. Peter Harris has spent the last 27 years at UPS, including in his current capacity as Sustainability Director for Europe. He spent five years on assignment for corporate compliance, developing and implementing a system to manage regulatory compliance outside the United States, and he also worked in the UK for eight years as Industrial Engineering Director and Automotive Director. Prior to UPS, he spent four years with London Transport, and he worked for two years as a volunteer Agricultural Engineer with Voluntary Service Overseas in Indonesia, where he developed better ways of storing rice. 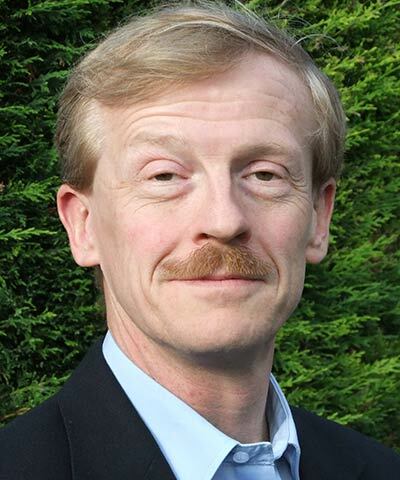 Harris is a Chartered Engineer, a Member of the Institution of Mechanical Engineers, and a Non-Executive Director for Coperforma, which provides non-emergency passenger transport services to the UK’s public health service. 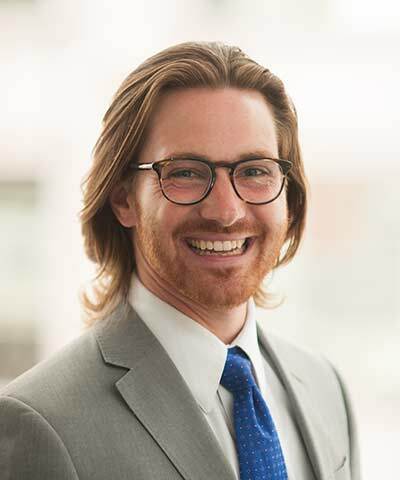 David Wei drives BSR’s climate policy work with partners in the We Mean Business coalition, and through research on the interface between business and government for BSR’s climate change practice. Before joining BSR, Wei was a climate Diplomat for the Marshall Islands with the advisory group Independent Diplomat, and he led on transparency issues in the UN climate negotiations for the Alliance of Small Island States. As an international lawyer with the Foundation for International Environmental Law and Development, Wei built up the environmental treaty expertise of countries across the globe. He began his career as a litigator with Fried Frank in New York before focusing on climate change and energy. Big Bold Question: What Will It Take for Business to Contribute to Warming of No More Than 2°? The Paris Agreement set a clear global goal of holding warming well below 2 degrees Celsius. With 189 countries now shaping a policy environment conducive to this goal, what will it really take for businesses to reduce emissions and build resilience to reach it? How can businesses be bold in constructing the well-below-2-degree economy? A circular economy creates opportunities to move away from a “take, make, dispose” production system to one that restores the environment and generates value from “waste.” Be inspired with ideas on how to integrate circular economy principles into your business. The transition to a thriving, clean economy will require trillions of dollars of investments. How can the private sector—especially financial services—move from bold commitments to concrete actions that make sense for their business? Andrea Valcalda was appointed Head of Sustainability for Enel Group in 2014. Since he began working for Enel in 1996, he has held several positions within the company’s planning and control department: Chief of Staff for the CEO; Vice President for innovation and environment, where he was in charge of innovation strategy and planning; and Head of Environmental Policies. Gireesh Shrimali is the Director of CPI’s India program, and a Fellow at the Steyer-Taylor Center for Energy Policy and Finance at Stanford University. Previously, he taught at the Middlebury Institute of International Studies at Monterey and at the Indian School of Business (ISB) at Hyderabad, where he helped found the CPI-ISB Energy and Environment Program. His current research focus is on renewable energy policy and finance in developing countries. He has also studied India’s solar policies, the impact of federal and state policies on the development and deployment of renewable energy in the United States, and business models for off-grid energy in developing countries. As Managing Director and Head of the Morgan Stanley’s Investing with Impact Initiative, Hilary Irby focuses on the development of financial products and solutions that provide both financial returns as well as a positive environmental or social impact. Prior to Morgan Stanley, Irby was Operating Partner at JVP, a leading Israeli venture capital fund with more than US$900 million under management. 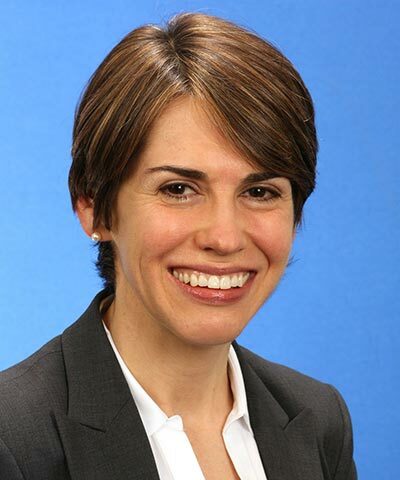 She is a Member of the Board of Directors of US SIF, The Forum for Sustainable and Responsible Investment. Head of Corporate Social Responsibility | BNP Paribas S.A.
Laurence Pessez has been heading corporate social responsibility at BNP Paribas since 2010. Under her leadership, the bank has further strengthened its ambition to accelerate the world's transition to a lower-carbon economy by announcing serious commitments in favor of renewable energy and clean-tech ventures, while further curtailing its support of fossil fuel industries. The bank also has been rapidly expanding its sustainable finance activities and investments, while continuing its longstanding support of microfinance and social businesses. 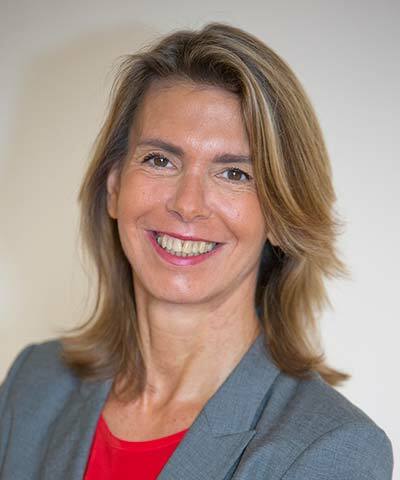 Prior to her current role, Pessez occupied a variety of positions in communications, marketing, and human resources, within subsidiaries of the BNP Paribas Group as well as in several other corporations. 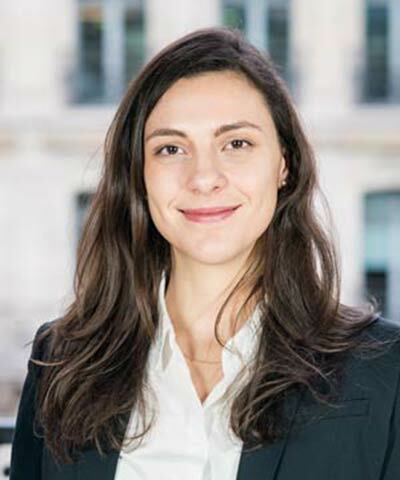 Emilie Prattico leads BSR’s engagements on climate change for the EMEA region, including partnerships with grant funders, public-sector bodies, and members in key industries. Her expertise informs BSR’s climate strategy by including short-lived climate pollutants as a powerful lever for curbing emissions. She leads research seeking solutions within the finance sector to deepen corporate investment in climate action. Previously, Prattico worked as a consultant with local governments in California on climate-action strategies and private-sector stakeholder engagement on climate policy planning. She has worked with the transportation, manufacturing, and agriculture sectors on supply chain sustainability and climate impacts. The transition to a thriving, clean economy will require trillions of dollars of investments to support the shift from a carbon-intensive to a climate-compatible system. The Paris Agreement, coupled with the growing volume of companies and investors deepening their focus on climate change, has created an unprecedented global market for low-emissions investments. How can the private sector move from bold commitments to concrete action? How can companies participate in this dramatic economic shift in a way that makes sense for them? The financial services sector in particular is well-positioned to drive and benefit from this global transformation. Join us to learn about the opportunities, challenges, and barriers involved in private-sector financing of the low-carbon economy. The Internet of Things is supporting great strides in sustainability, from energy-efficient lighting to raw-materials tracking. Join us as we explore the risks, solutions, and opportunities that arise from living in a world where people, data, things, and processes are connected like never before. 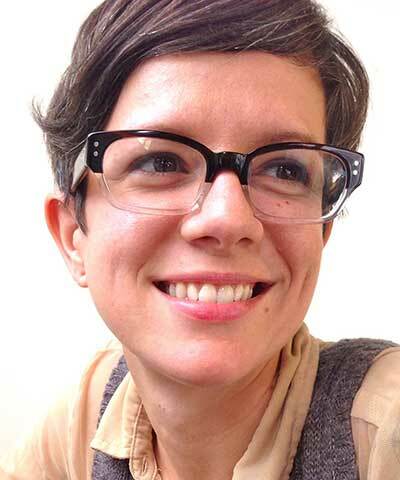 Alethea Lange’s work focuses on empowering online users to control their digital presence. She develops standards for fairness and accountability in algorithms, updates estate law to protect digital accounts from inappropriate access, and researches how data influence aspects of our everyday lives, like our diet. 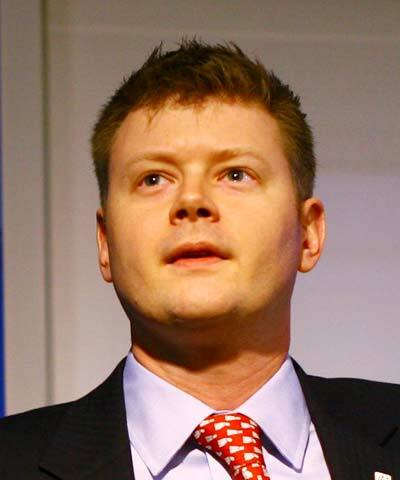 Prior to joining CDT, Lange was an independent writer and researcher focused on technology policy. She also worked for several years in the U.S. Senate and had a brief but glorious internship for Chicago Public Radio’s Wait, Wait … Don’t Tell Me. 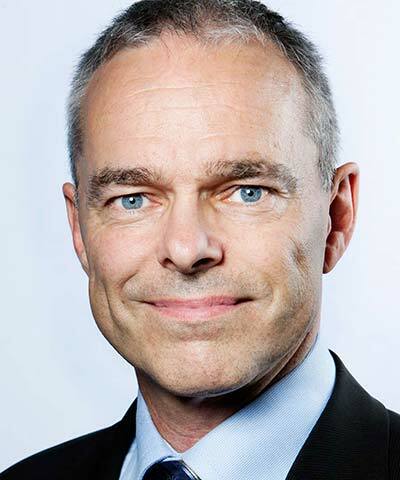 At Telenor Group—a mobile operator with operations in 13 markets and more than 200 million customers—Jan Kristensen has played a central role in developing the company’s sustainability reporting framework, with a focus on climate change and the environment. He also has been involved in collaborative groups to demonstrate how the information and communications technology (ICT) sector can provide sustainability benefits, including reducing carbon emissions and energy/resource use, generating revenue, reducing costs, and providing societal benefits. 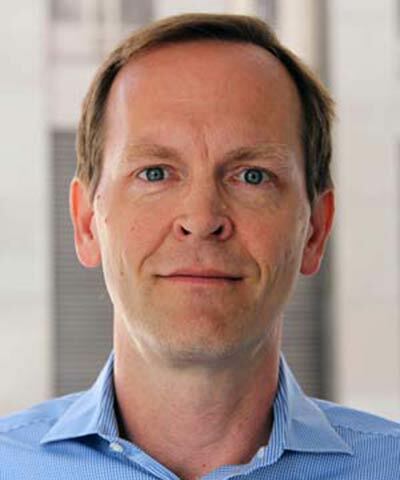 Kristensen’s work also focuses on how ICT can be used for sustainable development, and he served on the steering committee for GeSI’s recent SMARTer2030 study. 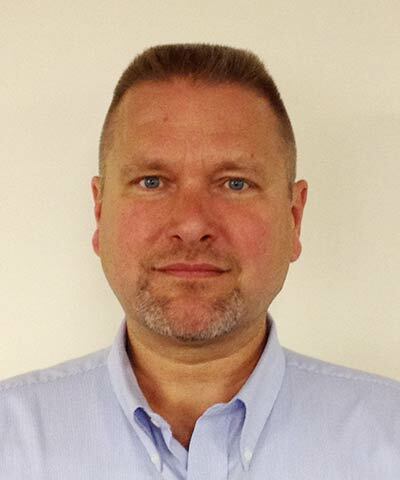 Kristensen has spent 20 years in the telecom industry and 10 years in the consulting sector. At GE, Libby Wayman is responsible for driving the development of cleaner technology and business solutions that also deliver a better business case and growth opportunity. This includes physical and digital technologies, new business models, and global partnerships to address challenges in water, energy, and transportation. Prior to this, she served as the Director for the U.S. Department of Energy’s (DOE) Clean Energy Manufacturing Initiative, where she was responsible for developing the DOE’s strategy for innovation in manufacturing technology. Wayman previously developed new solar energy technologies at SunPower and Alion Energy. 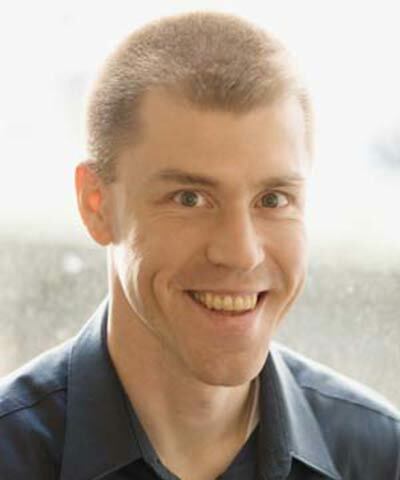 Michael Rohwer leads BSR’s work with companies in the information and communications technology industry. His background in corporate environmental issues and his extensive sustainable supply chain experience equips him to drive sustainability agendas from the boardroom to the factory floor. 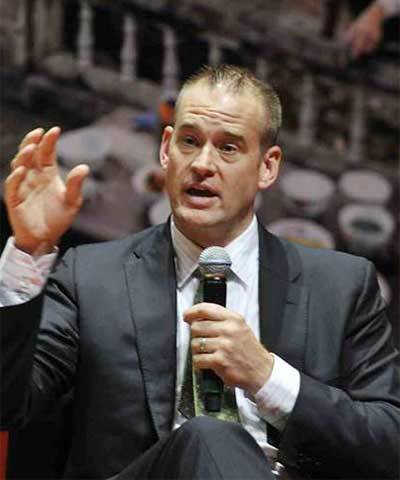 Before joining BSR, Rohwer was the Senior Program Director at the Electronic Industry Citizenship Coalition (EICC) and acted as the director for the Conflict-Free Sourcing Initiative. He also served in the U.S. Environmental Protection Agency’s (EPA) climate change and stratospheric protection divisions, focusing on mitigation and reporting for greenhouse gas emissions. Previously, he worked for a sustainability consulting firm in Hong Kong. The Internet of Things (IoT) can enable great leaps forward for sustainability. Everything from energy-efficient lighting to raw materials tracking to sensors that tag inventory coming in and out of the supply chain will transform business as we know it. But as we take one step closer to achieving our sustainability goals, are we at risk of storing up gigantic new problems? Will the collection, use, and availability of enormous amounts of data create new and unexpected privacy and security risks? Join us as we explore the risks, solutions, and opportunities that arise from living in a world where people, data, things, and processes are connected like never before. Workers have growing relevance in manufacturing sectors, where the labor force is younger, better informed, and savvy about information technology. How can your company involve workers to improve operations and develop new management solutions? Director, Global Partnerships and Supplier Sustainability | GAP Inc.
As Manager of the Sino TYTEX factor in Hangzhou, China, Wei Sun seeks to provide opportunities for the material and intellectual growth of all 210 employees working at his textile-weaving business. He also seeks to advance green fashion through a greener “top dye" process at his facility and by influencing the consumer products industry as a whole. His factory supplies to a range of international brands, including Zara, Gap, Uniqlo, and H&M. In 2003, he took over management of his family’s business, and in 2015, his company generated US$50 million in sales. He has been investing in and producing top dye textile goods since 2010. 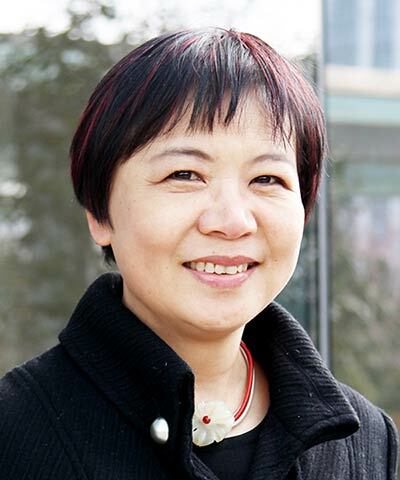 Lin Wang leads BSR’s work in China, with a focus on women workers’ empowerment and supply chain sustainability. 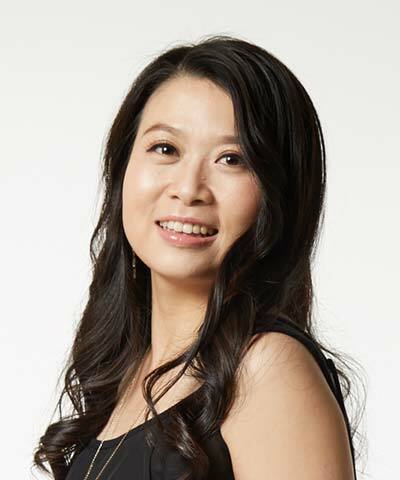 She has extensive external and government relations connections and is one of China’s leading thinkers on supply chain, economic development, and labor issues. Wang started her sustainable business career at the ILO in Geneva, where she designed a project on human resources management and labor relations in China’s special economic zones. She returned to China in 2001 to serve as the project’s Chief Technical Advisor. In 2005, Wang joined IKEA as a Sustainability Manager responsible for the IKEA China supply chain sustainability scope, including social and environmental compliance and external relations. She also contributed to IKEA’s global sustainability strategy. Connecting with consumers’ core values creates deep and long-term loyalty and engages citizens in positive change. Learn how to integrate purpose into brand strategy and marketing and reach consumers based on values like self-esteem, equality, diversity, social progress, and environmental stewardship. With the growth of digital media and an increasingly fragmented traditional media sector, it’s impossible for companies to control information about their business. It’s time to think broadly about stakeholders locally and globally, and consider what this era means for your brand, reputation, and practices. 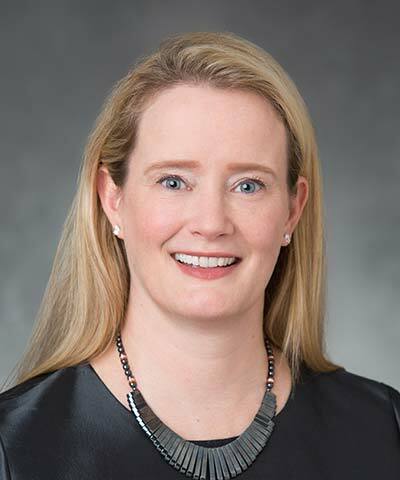 As Head of Corporate Responsibility and Corporate Reporting at the pharmaceutical, vaccine, and consumer healthcare company GSK, Clare Griffin leads responsible business strategy and engagement, supporting the board’s Corporate Responsibility Committee and the company’s annual reporting. 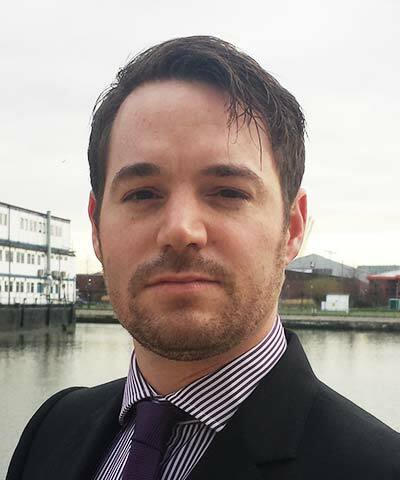 Prior to joining GSK in 2012, Griffin worked in house and as a consultant across a wide range of industries in both the United States and the UK. She has a master’s degree in responsible business practice. As the Global Head of Corporate Responsibility and Inclusion for Thomson Reuters, Patsy Doerr is responsible for overseeing the company’s corporate social responsibility, diversity and inclusion, and sustainability functions. Doerr has more than 20 years of experience in talent, learning, organizational development, diversity and inclusion, employee recognition, and customer engagement. Her main background is in investment banking, and she has held a number of leadership roles at JPMorgan, Deutsche Bank, and Credit Suisse, in New York, London, and, most recently, Hong Kong. As an Assistant Professor of Management and Organizations at New York University Stern School of Business, Sinziana Dorobantu focuses on the value and evolution of firms’ relationships with local communities, NGOs, and governments. 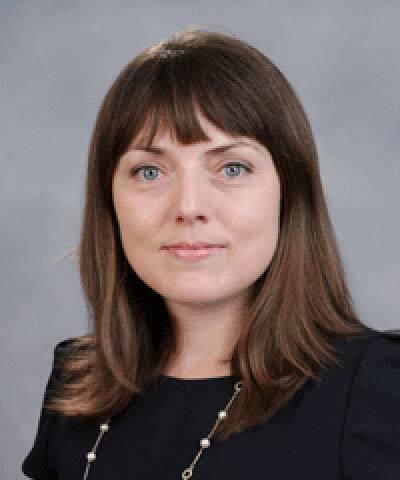 Her research provides direct empirical evidence that increasing stakeholder support enhances the firm’s financial valuation and helps the company protect this value during difficult times. Dorobantu’s research also examines the evolution of these relationships, the formalization of these relationships into contractual agreements, and the formation of international partnerships to manage stakeholder relations in large infrastructure projects. 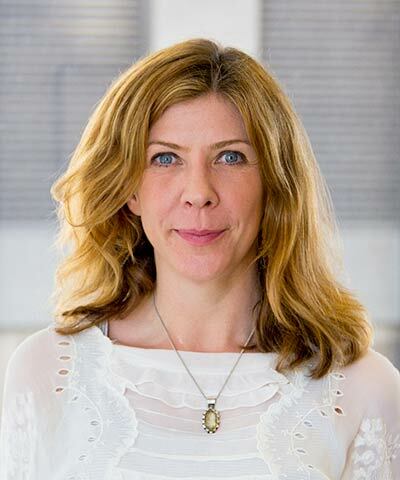 Alison Taylor leads BSR’s energy and extractives practice and coleads the sustainability management practice. She focuses on approaches to sustainability through risk management, strategy, stakeholder engagement, transparency, ethics and governance, and organizational change. Previously, Taylor was a Senior Managing Director at Control Risks. She has also worked at Transparency International, PricewaterhouseCoopers, and IHS Global Insight. Taylor has experience in strategic intelligence, market entry assistance, risk consulting, due diligence, internal investigations, enterprise risk management, and ethics and compliance. She is a Board Member of the ethics organization Center for Business Ethics and Corporate Governance and serves on the sustainability committee of the Society of Petroleum Engineers. Companies have made great strides in support of women’s empowerment, but the economic gender gap remains wide. Explore how companies can catalyze commitments and collective action for change on women’s empowerment. Jorgette Mariñez leads BSR’s U.S. consumer products and global food, beverage, and agriculture practices. She focuses on aligning innovative sustainability practices with business strategy and operations. 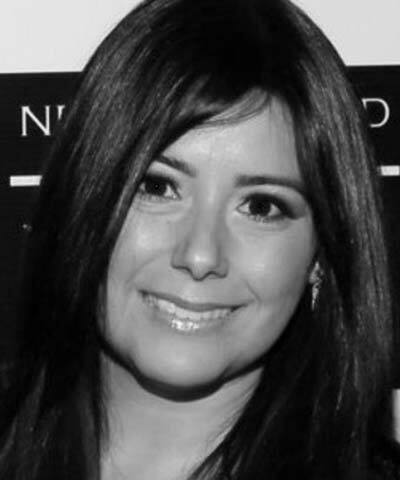 Mariñez brings more than 10 years of experience consulting with multinational companies and governments, with expertise in supply chain management, procurement, strategy, and employee engagement. She has worked at Arthur Andersen, Great Place to Work, and Unisys. She also spent four years at PepsiCo leading global supplier CSR assurance. Hear how large companies, niche players, and entire industries are achieving traceability and tracking their products from raw materials to finished goods. 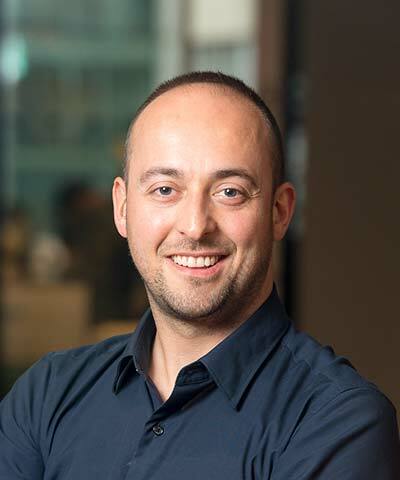 Nestor Zwyhun leads engineering and production operations at GT Nexus, which provides the world’s largest cloud-based collaboration platform to automate hundreds of supply chain processes on a global scale. Over 17 years, the GT Nexus Network has grown to include 25,000 businesses, 100,000 users, and more than US$500 billion in goods managed. Previously, Zwyhun was Vice President of Technology for the Corporate Banking Practice at American Management Systems (now CGI). While at AMS, he led the development of e-commerce and internet solutions for many large international banks, including American Express Bank, Bank of America, and Royal Bank of Canada. 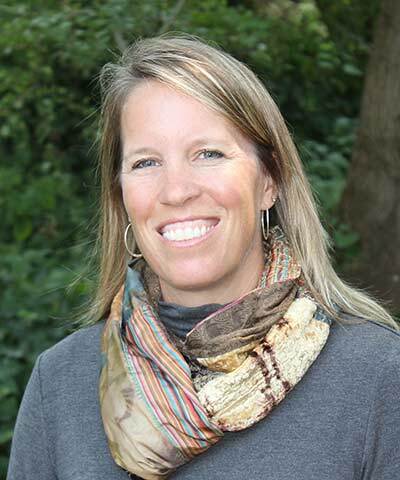 Wendy Savage’s expertise ranges from field auditing to CSR program development and implementation, training and education, capacity-building, stakeholder engagement, and supply chain mapping and traceability. In her current role, Savage is responsible for Patagonia’s global supply chain compliance and commitment to upholding the company’s Workplace Code of Conduct and Fair Labor Association (FLA) obligations. 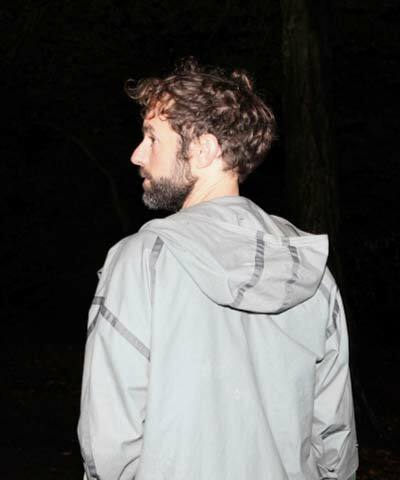 Savage also heads Patagonia’s Traceability Programs and spearheaded the development, implementation, and switch to the Traceable Down Standard. Among her other responsibilities, Savage leads the social compliance program implementation for Patagonia’s food division, Patagonia Provisions, as the company embarks in working with food suppliers. With 20 years of experience in sustainable business, Farid Baddache leads engagements with companies across industries and BSR consulting services. As part of BSR’s global management team, Baddache helps oversee organizational consulting and membership strategy and operations. Prior to joining BSR, he was a CSR strategy and management consultant and project manager in the technology, manufacturing, and extractives industries. He is the author of several books on CSR and responsible development. Climate change and other disruptions are forcing supply chains to move. In the future, supply chain practitioners will need to consider different aspects of land rights, including local legal practices, graft and corruption, the local right to operate, and how challenges like violent protest and security can erupt unexpectedly. Chris Jochnick is a global land rights expert with decades of experience in international development. 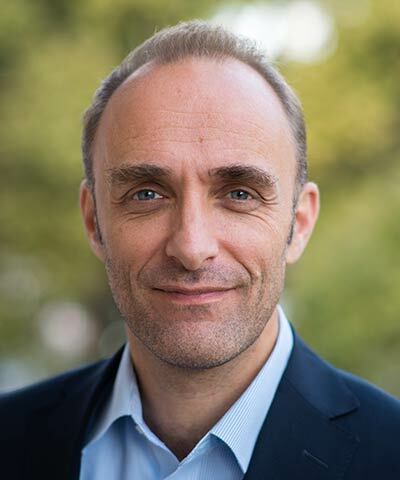 He joined Landesa as CEO in August 2015 after leading Oxfam America’s work on private-sector engagement, including the successful “Behind the Brands” campaign. 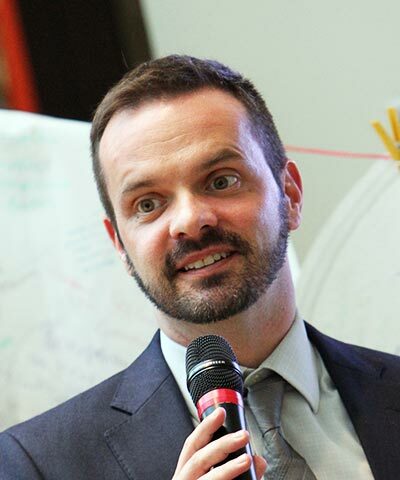 Jochnick is the Cofounder and former Director of two human rights organizations: Center for Economic and Social Rights and the Ecuador-based Centros De Derechos Economicos y Sociales. Jochnick spent seven years working in Latin America, devoting much of that time to addressing threats to indigenous peoples’ land rights. He spent four years on Wall Street as an attorney with Paul, Weiss, Rifkind, Wharton & Garrison. He teaches business and human rights at Harvard Law School and serves as Chair of the Business and Human Rights Resource Centre. Jeremy Prepscius is in charge of serving and expanding BSR’s member base in Asia and integrating the work there into BSR’s global approach. Prepscius has extensive experience in supply chain management, business integration, external communications, government relations, and compliance operations. Prior to joining BSR in 2006, he spent more than 10 years on equipment sourcing, footwear production, and corporate responsibility for Nike, Inc. He also worked in China for five years as the North Asia Regional Compliance Director, covering sustainability issues in Cambodia, Vietnam, China, Hong Kong, Macau, Japan, Korea, Taiwan, and the Philippines. Land Rights as Supply Chains Move: Whose Paddy Is Your Factory Built On? Supply chains are moving. Manufacturing is exiting China and climate change is forcing shifts in agriculture, as previously fertile lands suffer drought and extreme weather makes farming impossible. This kind of movement creates opportunity, but also risks. Land rights—rarely understood or reviewed by supply chain assessments—will become increasingly important. In the future, supply chain practitioners will need to consider different aspects of land rights, including local legal practices, graft and corruption, the local right to operate, and how challenges like violent protest and security can erupt unexpectedly. Join BSR and corporate leaders to learn about best practices, resources, and how to address these issues if they start to affect your business. Hear from sustainability leaders on how they developed bold new strategies to tackle some of the world’s greatest challenges. What was the challenge, how did they approach it, how did they inspire others to join their pursuit, and did it pay off for the company? 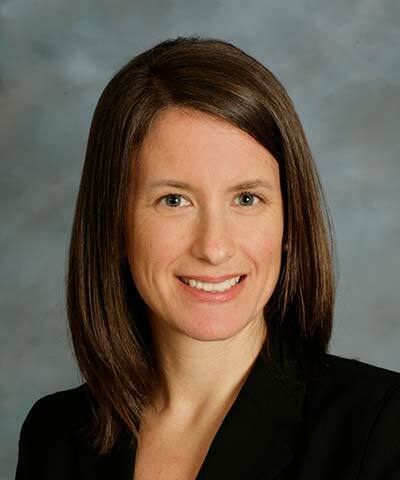 Jennifer Silberman leads Target’s CSR wellness and sustainability strategy and portfolio, along with programs to drive CSR commitments locally. 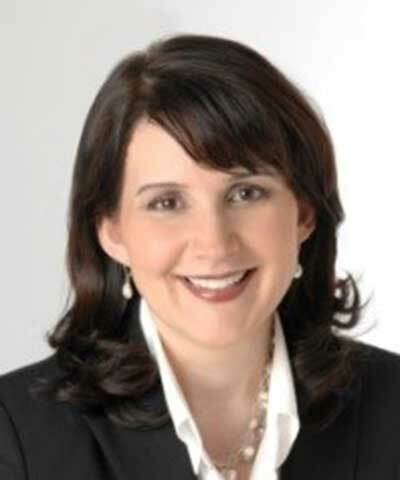 Silberman joined Target from Hilton Worldwide, where she served as Chief of Staff to the President and CEO, as well as Vice President of Corporate Responsibility. 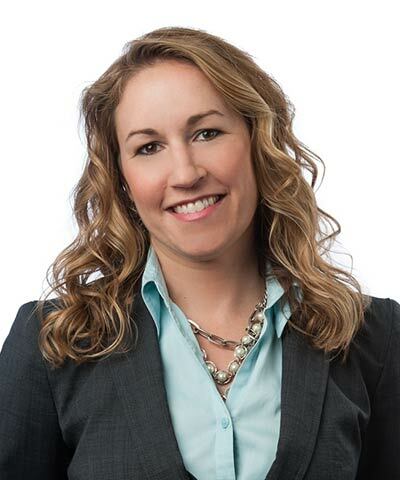 She was hired as Hilton’s first Vice President of Corporate Responsibility, creating an integrated function across the business focused on delivering long-term results for the company’s hotel and timeshare operations, societal impact, and shareholder value. She has more than 20 years of experience working globally in economic development, sustainability, human rights, women’s empowerment, and youth opportunity. 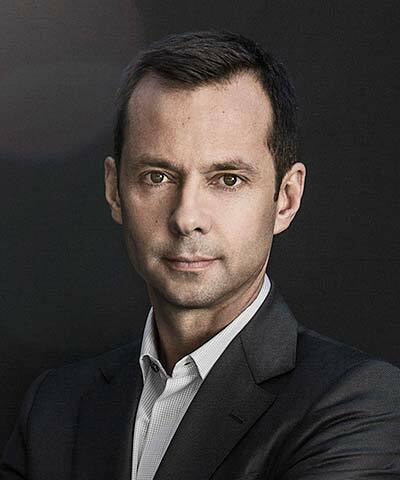 Recently appointed to the position of Senior Vice President within TOTAL’s Innovation and Energy Efficiency for the Gas, Renewable, and Power Division, Jérôme Schmitt started his career in Asia. He joined TOTAL’s finance division in 1992 and was first in charge of finance operations for exploration and production projects in Asia and North Africa, followed by a similar role in South America. He then led gas projects business development for the Middle East and Central Asia, and in 2000, he was appointed to lead corporate mergers and acquisitions. In 2004, he became Vice President of Investor Relations, and in 2009, he was appointed Group Treasurer. Following this, Schmitt became Senior Vice President, Corporate Affairs, for the Marketing and Services Branch. In 2013, he was appointed Senior Vice President, Sustainable Development and Environment. 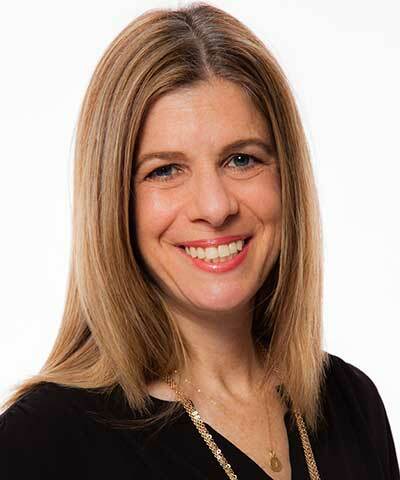 Naomi Morenzoni leads Salesforce.org’s efforts to encourage and enable companies to adopt an integrated philanthropy model, in which 1 percent of the business’ product, equity, and time are dedicated to improving communities globally. 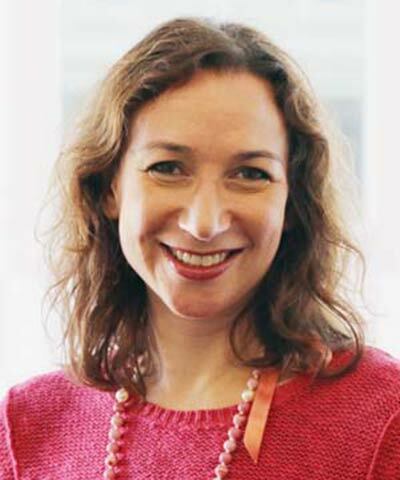 She also heads the company’s strategic philanthropic partnerships, through which Salesforce.org seeks to collaborate with other grantmakers and CSR leaders to drive collective impact. 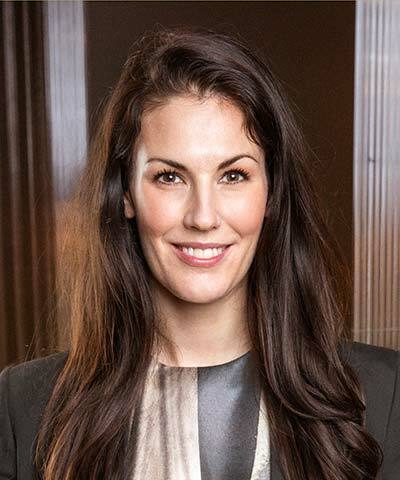 Morenzoni has extensive experience supporting corporate citizenship and philanthropy through her previous leadership roles at the Global Philanthropy Forum and BSR. She also has held positions at Google, the University of California, Berkeley, and IABC. 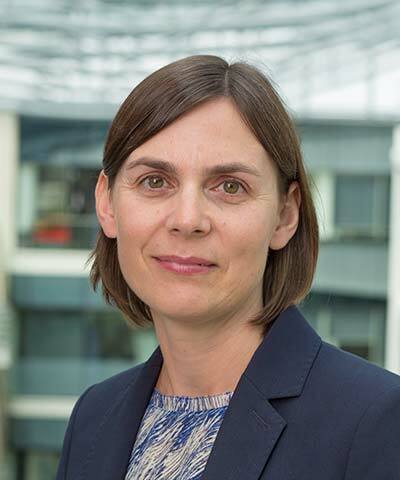 Therése Lennehag has been Head of Responsible Investment at EQT Partners since 2014. Since joining EQT in 2009, she has worked closely with the organization on integrating responsible investment and ownership practices. 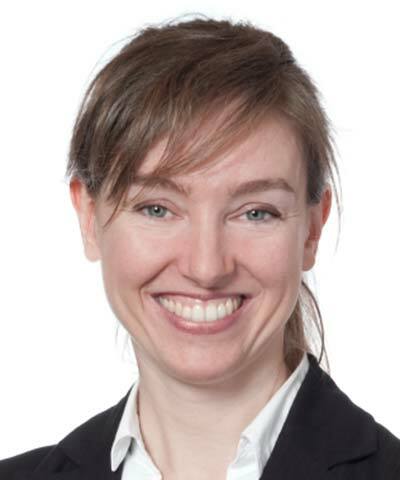 Between 2011 and 2014, Lennehag was involved in Invest Europe's Professional Standards Committee, and she contributed to the development of the Invest Europe Professional Standards Handbook. She is a member of Invest Europe Responsible Investment Roundtable, and she served as Chair between 2013 and 2014. Lennehag is also a member of the board of directors of EPER, the private equity platform of Invest Europe. Prior to joining EQT, she worked in investment banking at Credit Suisse and Morgan Stanley. In this session, leaders in sustainability strategy will share stories about how they developed bold new strategies to tackle some of the world’s greatest challenges, and how it paid off for the company. What was the challenge, how did they approach it, and how did they inspire others to join their pursuit? Learn how business leaders are using the new Natural Capital Protocol to understand environmental impacts and dependencies and assess the risks, costs, and benefits associated with their company’s reliance on nature’s services. As an environmental scientist and widely recognized leader in environmental business matters, Karen Clarke-Whistler focuses her work at the U.S.-based TD bank on demonstrating a strong positive link between the environment and the economy. TD’s innovations include being the first North American-based bank to become carbon neutral, developing net zero energy branches, and being the first Canadian commercial financial institution to issue a green bond. Collaboration with TD Economics has resulted in a series of papers on the green economy, including extensive work on natural capital valuation. In 2016, Clarke-Whistler was recognized as a member of the Clean16 for her outstanding contribution to clean capitalism within the financial services sector. Prior to joining TD, she spent more than 15 years consulting to a diverse base of global clients. 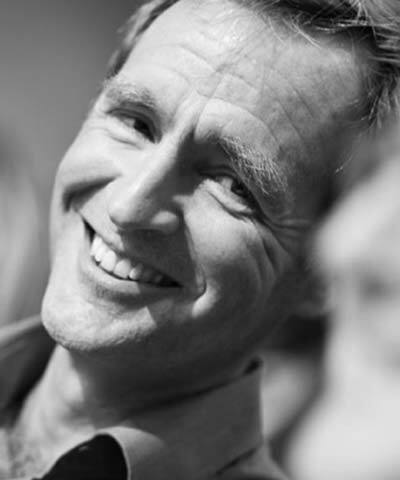 As Executive Director of the Natural Capital Coalition, Mark Gough was instrumental in the 2016 launch of the Natural Capital Protocol, a decision-making framework that helps business leaders measure, value, and integrate natural capital into their existing company processes. Gough is a strong believer in integrating sustainability into decision-making so that it becomes an opportunity for everyone. Gough previously worked for The Crown Estate, helping develop its integrated vision and approach to value measurement. Prior to this, he was the Global Environmental Manager for Reed Elsevier. 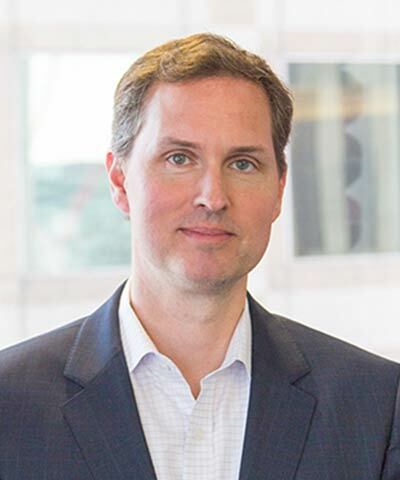 Gough is a Director of the Aldersgate Group, which brings together business, politics, and civil society to drive action for a sustainable economy. He also has served on a number of national and international committees, including the Steering Committee of the United Nations CEO Water Mandate and the board of the Alliance for Water Stewardship. 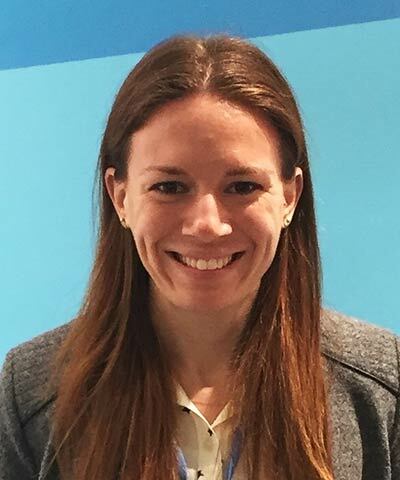 As Head of Sustainability for Tata Son’s 11 North American group companies, Sarah Matheson convenes and facilitates a Sustainability Working Committee that addresses relevant social and environmental issues in the region. Before joining Tata Sons, she spent five years as Senior Manager in Deloitte Consulting’s sustainability team. At Deloitte and while at ICF Consulting and GHD Consulting, she worked with major retailers; consumer goods companies; federal, state, and local governments; and small start-ups to develop public reports, measure and manage environmental and sustainability issues, and conduct carbon inventories and life-cycle assessments. 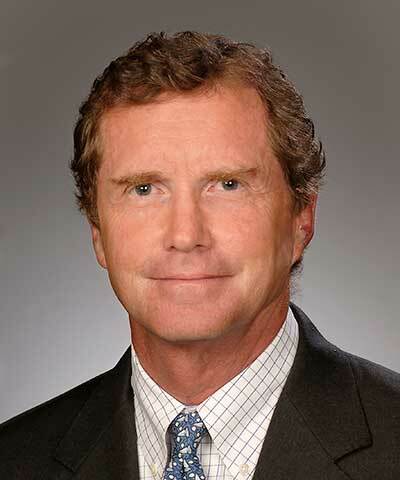 Matheson was also the World Bank Sustainability Coordinator. 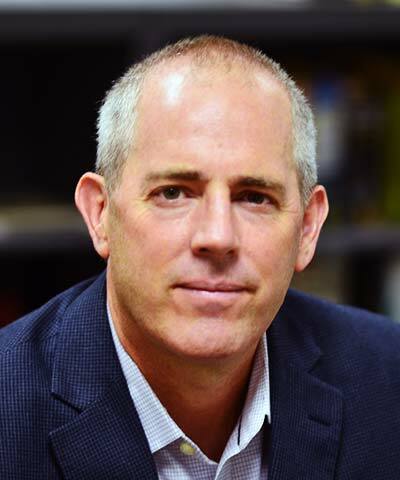 With more than 20 years in the consulting field, Eric Olson leads BSR's global consulting practice to deliver successful sustainability strategies that boost the bottom line for companies while benefiting the world. In addition to advising the CEOs and senior teams of several global companies, Olson directs BSR’s work on the Future of Energy, as well as the Center for Sustainable Procurement. Prior to joining BSR, he worked with the Natural Step, accelerating sustainability through strategic counsel on a broad range of corporate responsibility matters that included supply chain management and sustainable development. He also has served as Vice President at the Boston Consulting Group and was a Partner and Founding Member of the global consultancy Mitchell Madison Group. Natural Capital Accounting: Business Implications? Accounting systems are to business what water is to fish—essential and irreplaceable. But failing to include environmental, social, and governance (ESG) data in these systems creates a blind spot around corporate risk and opportunity. That blind spot can now be addressed using the new Natural Capital Protocol. These guidelines help business decision-makers see environmental impacts and dependencies within accounting systems. Business leaders can use this information—which is based on structured, verified approaches—to assess the risks, costs, and benefits associated with their company’s reliance on nature’s services. Join us for an overview of leading work. At the close of last year’s session on the Sustainable Development Goals, we asked participants to share what they hoped to have achieved after one year. This year, we invite those participants—and new ones—to take stock of progress. 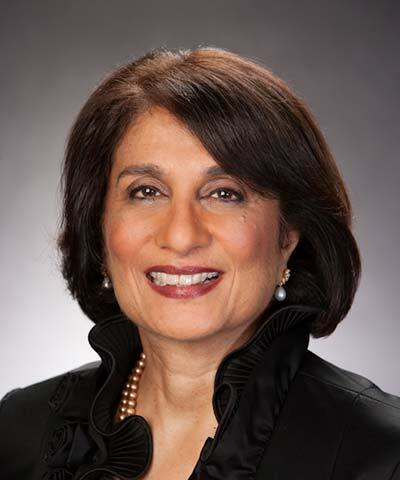 As Senior Vice President Corporate Responsibility and Global Chief Diversity Officer for Sodexo, Rohini Anand is responsible for the strategic direction, implementation, and business alignment of Sodexo’s integrated global diversity and inclusion initiatives, as well as Sodexo USA’s sustainable development, wellness, and corporate responsibility strategies. She also leads the organization’s sustained culture change initiatives and its integration in the overall business growth strategy. Today diversity and inclusion, wellness, and sustainability are thought leadership platforms of the Sodexo brand and key drivers of the company’s growth. 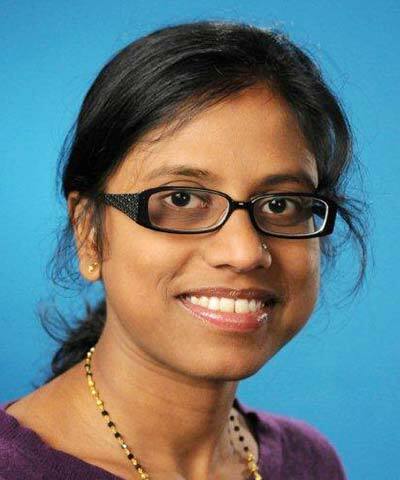 At UNICEF, Suba Jayasekaran played a lead role in the development of the Children’s Rights and Business Principles. She currently leads UNICEF’s engagement on children’s rights in global supply chains. Jayasekaran has expertise in child protection, emergencies, and corporate social responsibility. She has worked in Asia, Africa, and headquarters with UNICEF, and she is currently based in Geneva. As President of Global Product at Pearson, Tim Bozik is passionate about smart design and delivering great customer experiences. He and his team are responsible for product strategy and development across global school, higher education, and English language learning. They are focused on digital products and services, personalized learning, better outcomes, measuring impact, understanding what works, and bringing education and employability closer together. 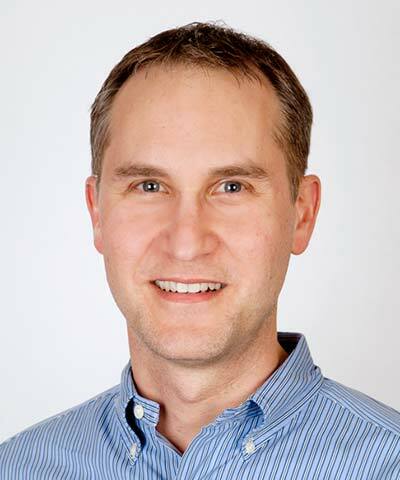 Bozik started his career as a Sales Representative for Prentice Hall and worked from the customer front line through product development and general management across higher education. Cecile Oger helps BSR members improve and advance their sustainability strategies for a more inclusive world. She has been a part of large projects on stakeholder engagement, strategy, and materiality, largely focusing on the healthcare and consumer products sectors. Oger runs BSR’s Healthcare Working Group and contributes to the Investing in Women initiative. 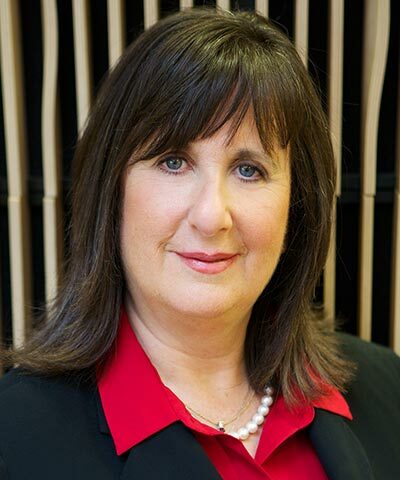 Prior to joining BSR, Oger served as consulting Deputy Director for SGS Sustainability Services, and she was Executive Director of SFSTP, one of Europe’s largest associations of industrial pharmacists. She also worked with the pharmaceuticals, cosmetics, mining, and transportation sectors at Clariant. One Year into the SDGs: Is the Moment Becoming a Movement? At the close of last year’s session on the Sustainable Development Goals, we asked participants to fill in an "aspirational card" sharing what they hoped to have achieved after one year. In this session, we invite those participants—and new ones—back to take stock of progress. Did they accomplish their goals? Where did they make progress? What was most challenging? And most importantly, what needs to happen next? Want to win contracts, build your credibility, and gain support for your sustainability goals? Join this workshop to design marketing and pitch statements that articulate who you are and why your work matters. Learn strategies to effectively communicate the material risks and opportunities of climate change. Develop messages to overcome barriers like capital constraints, management attention, and lack of in-house expertise. 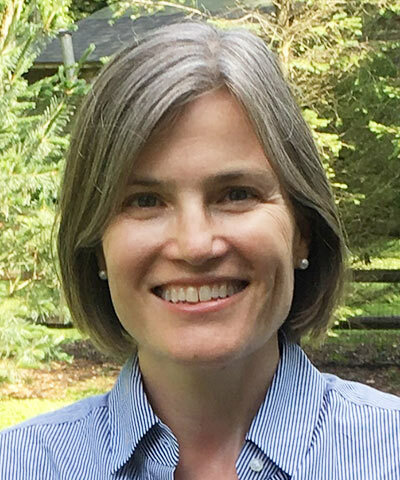 As the Associate for the Climate Reality Project’s Climate Speakers Network, Jill Leaness collaborates with a diverse group of local, state, and national partners to develop training programs that help peer messengers connect climate change with their community. Prior to this, Leaness served in the Peace Corps as a Community Environmental Conservation Volunteer in Panama, worked for the National Park Service, and she worked with various environmental nonprofit organizations. She served as a Student Delegate to the American Chemical Society at COP21. 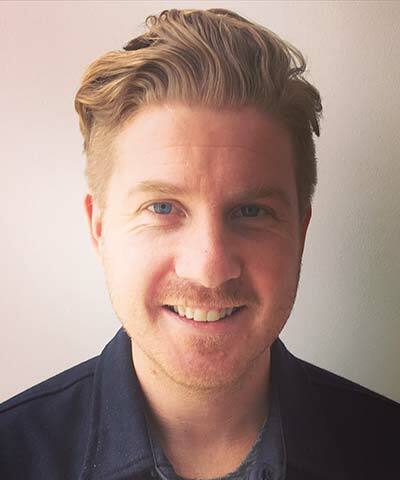 As Climate and Business Manager at the World Wildlife Fund (WWF), Matt Banks works with businesses to build awareness and adoption of progressive corporate climate protection strategies. For 15 years, he used the brand power of WWF to mobilize companies to participate in a range of successful partnerships, including Climate Savers, the 3% Solution, the Science-Based Targets Initiative, Business Backs Low-Carbon USA, Renewable Energy Buyers Principles, and the Renewable Energy Buyers Alliance. Before joining WWF, Banks worked for AtKisson, Inc., where he developed sustainability indicators for the island of Nantucket, the city of Pittsburgh, and the Trust for Public Land. 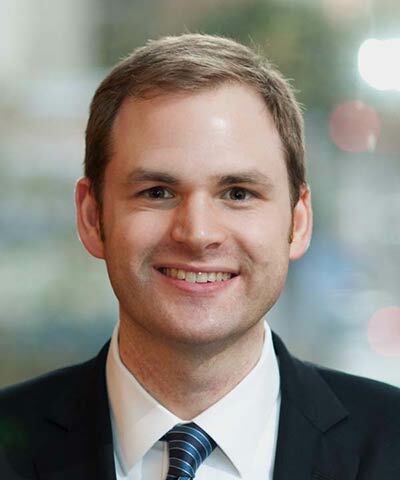 In his work for the International Council for Local Environmental Initiatives, he launched the greenhouse gas emissions inventory and planning project for the city of Boston. The coauthor of Good Cop/Bad Cop: Environmental NGOs and Their Strategies Toward Business, Banks has also received the Business Sustainability Initiative award from Dartmouth’s Tuck School of Business. 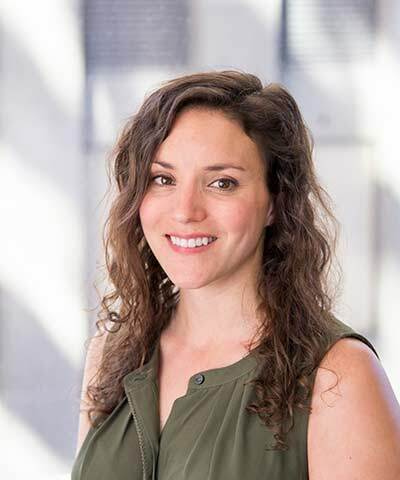 As Director of Business Engagement for the Climate Reality Project, Sarah Orsay helps make climate action an urgent reality within the private sector. To do this, she applies her diverse experience from nearly 30 years working on Wall Street, with nonprofit organizations, and with municipal governments. 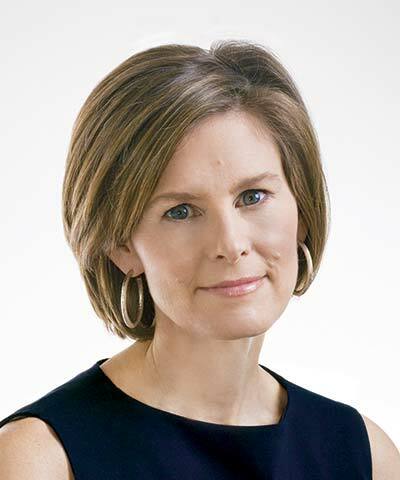 During her career, Orsay has served as a Managing Director in derivative sales at Morgan Stanley and Goldman Sachs, and as CEO of the Michael J. Fox Foundation for Parkinson’s Research. In late 2007, she retired from her New York-based career to spend more time with her family and volunteer in her community. 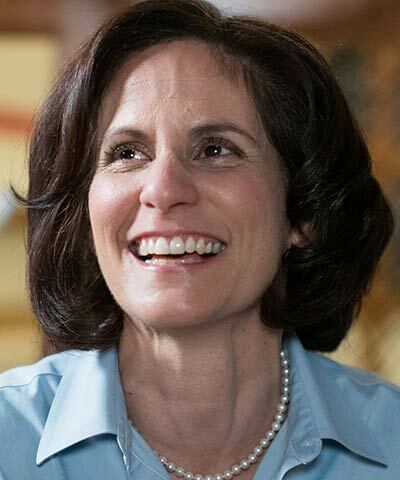 In 2013, she became the Director of Parks and Recreation for her hometown, Rumson, New Jersey. 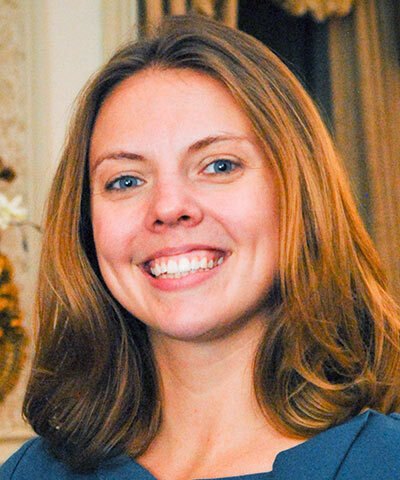 She currently serves on Rumson’s Environmental Commission. It’s challenging to change organizational culture to embrace clean energy and other climate solutions. The task often falls on CSR managers or ambitious “intrapreneurs” who must persuade a wide variety of stakeholders that climate-focused initiatives are in their best interest. Effective communication of both material risks and opportunities is key. In this interactive workshop, the Climate Reality Project and the World Wildlife Fund will help participants develop a strong messaging strategy to overcome barriers such as capital constraints, management attention, and lack of in-house expertise. Join this session to gain the skills and support to lead your company and peers to a brighter tomorrow. Up to 80 percent of sustainability impacts are determined in product design. How can you reinvent your company’s product development and innovation processes to incorporate sustainability and circular economy principles? Some of the greatest human rights challenges for companies lie in areas over which they have the least control: the adverse impacts of their suppliers, contractors, joint-venture partners, customers, and governments. Hear from companies that are proactively managing human rights issues in the web of their business relationships. 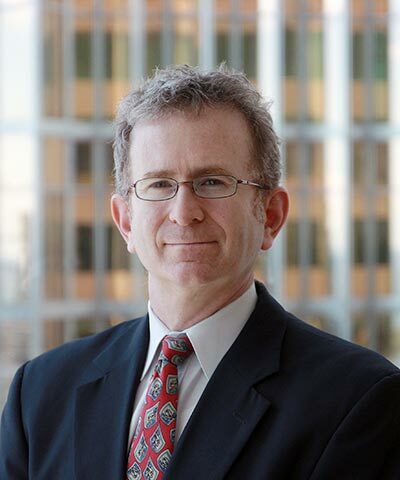 Jonathan Drimmer helps oversee Barrick Gold Corporation’s international regulatory and compliance programs, as well as its global investigation group, entity-level litigation and disputes, and other matters. Before Barrick, he was a Partner at Steptoe & Johnson LLP, in Washington, D.C., and Deputy Director in the U.S. Justice Department’s Office of Special Investigations, where he investigated and prosecuted cases involving suspected war criminals. He is a former Bristow Fellow in the Office of the U.S. Solicitor General, and was a judicial clerk on the U.S Court of Appeals for the Ninth Circuit. 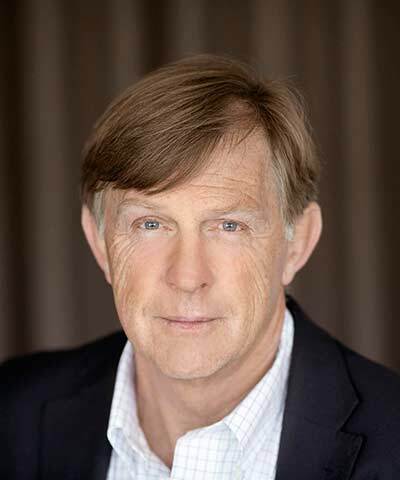 In addition to his role at Barrick, he serves on several boards and steering committees, including for the Voluntary Principles on Security and Human Rights, and he teaches business and human rights courses at Georgetown University Law Center. As The Walt Disney Company’s Director, International Labor Standards, Laura Chapman Rubbo seeks to foster safe, inclusive, and respectful workplaces wherever Disney-branded products are made. 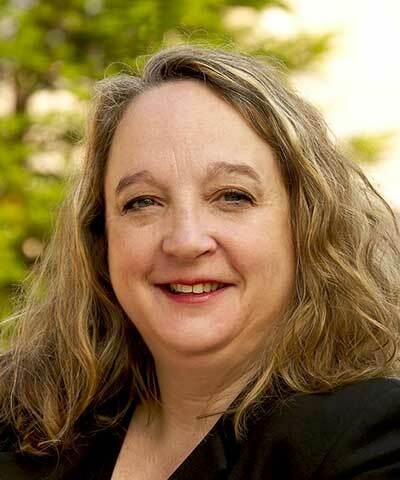 She leads the global supply chain monitoring program, external stakeholder engagement and communications, industry collaboration, supply chain philanthropic investments, risk assessment, research, and training. She also co-led the creation of Disney’s human rights policy. In addition, Rubbo is Chair of the Corporate Responsibility Committee of the United States Council for International Business, a member of Social Accountability International’s advisory board, and a past member of the U.S. delegation to the International Labour Organization’s International Labour Conference. 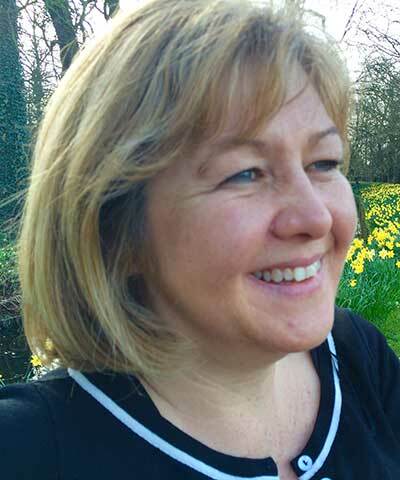 As Head of Responsible Sourcing, Packaging, and Plan A at Marks & Spencer, Louise Nicholls is with responsible for setting strategic direction for the company’s food sustainability plan. Her team works closely with buying teams on issues as diverse as ethical trade, water stewardship, global community programs, lean manufacturing, and sustainable raw material procurement. In the past 12 months, Nicholls has travelled to China, Europe, Kenya, South Africa, the United States, Vietnam, and Zimbabwe, meeting with more than 1,000 suppliers and local stakeholders to understand their issues and perspectives. Group Vice President, Corporate Responsibility | PVH Corp.
Margaret Jungk has more than 20 years of experience working with companies and international institutions to promote sustainable business practices. Prior to BSR, Jungk was the first chair of the UN Working Group on Human Rights and Business. 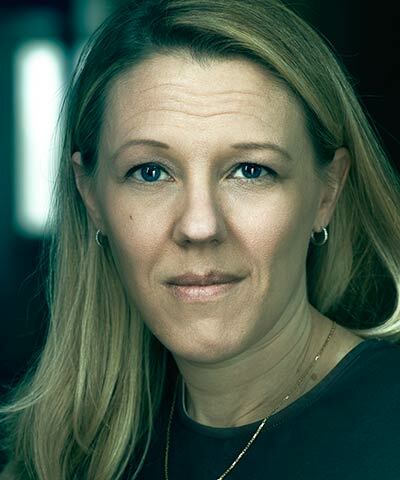 Before joining the working group, she was the Founder and Director of the business and human rights department at the Danish Institute for Human Rights, where she grew the department to the largest team of business-focused human rights experts at a national human rights institution. 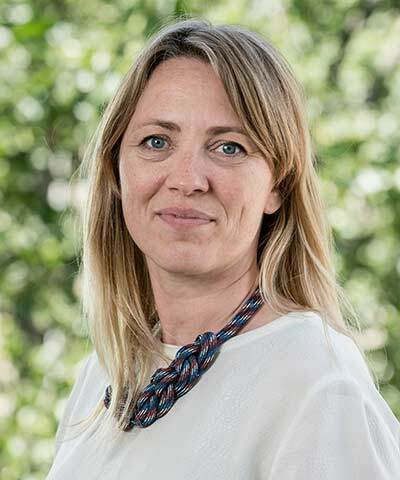 In her capacity at the Danish Institute, Jungk led projects to help global companies integrate human rights into their business strategies and operations, including in complex environments. Renewable energy purchases by corporations are growing fast. How do we encourage ambition and increase clean power procurement to make sure it’s not limited to just a few leaders in a few geographies? As Etsy's Senior Sustainability Specialist for Energy and Carbon, Chelsea Mozen helps the company and its community reduce their carbon footprint and overall impact on the planet. 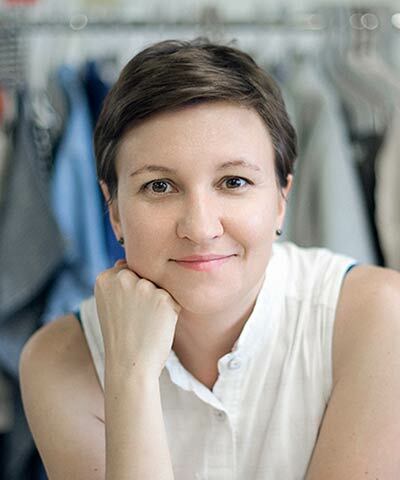 She leads Etsy’s commitment to power its operations with 100 percent renewable electricity by 2020. Mozen also serves on the board of directors of Yansa, a nonprofit organization that partners with indigenous communities to develop utility-scale renewable-energy projects as a driver for social development. 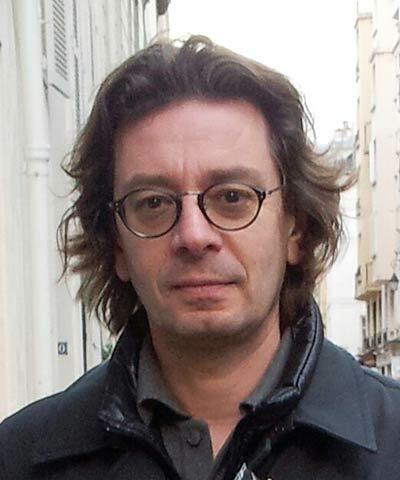 As Managing Director at Rocky Mountain Institute (RMI), Hervé Touati focuses on disruptive business models and technologies in the electricity sector and mechanisms to accelerate the adoption of renewable energy by large corporations. These include initiatives such as the Business Renewables Center (BRC) and Sunshine for Mines. 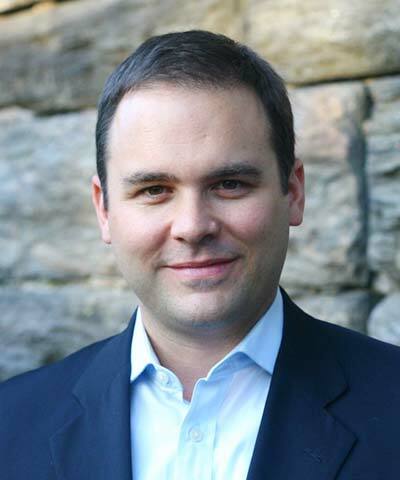 Touati is also Chairman of Black Bear Energy (BBE), a for-profit spin-off of RMI acting as an owner's representative for real estate investment trusts in distributed energy. He is also an Advisor to Greentech Capital Advisors and clean-tech startups in Europe and North America. 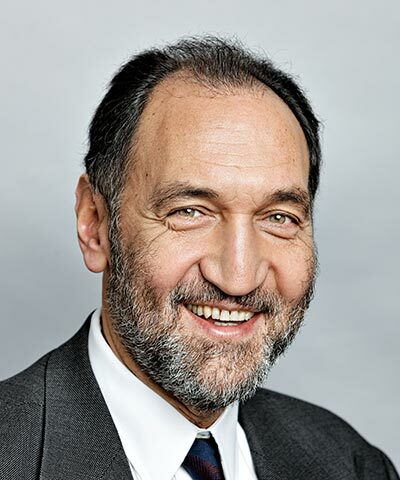 Touati has held several senior positions at the German utility E.ON, and he has served as a leading expert for the energy sector with McKinsey & Co. 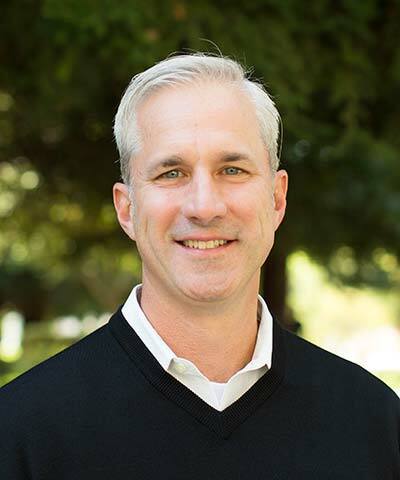 In his role, Scott Stallard is responsible for environmental stewardship strategy development (including a companywide renewable energy strategy), external reporting, product stewardship activities, and business facilitation of sustainable products. 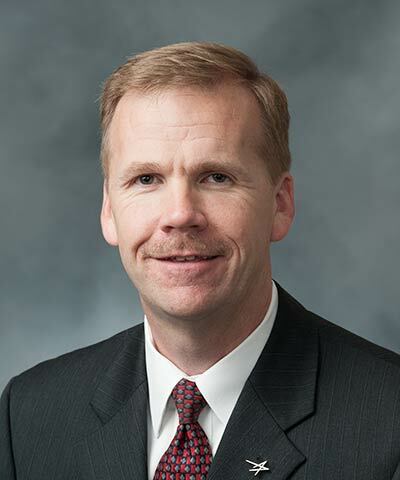 Stallard has more than 20 years of experience at Lockheed Martin and its predecessor companies. Before taking on his current position in 2010, he held various other roles, including as the Business Manager for CEESH, where he focused on remediation and overall strategy. Stallard also served a lead role as part of the team that launched Lockheed Martin’s Go Green program in 2008. Renewable energy purchases by corporations are growing fast. How do we encourage ambition and increase clean power procurement to make sure it’s not limited to just a few leaders in a few geographies? Connect with leaders in renewable energy as they highlight the opportunities and challenges to scale renewable energy solutions, and define how companies are working to address them. How have the trails blazed by corporate leaders paved the way for fast followers to create a global corporate renewable energy movement? In the face of challenges like climate change, water shortages, and rising inequality, there’s a need for ambitious corporate action. How are companies setting bold targets, and what works to gain internal alignment and commitment? 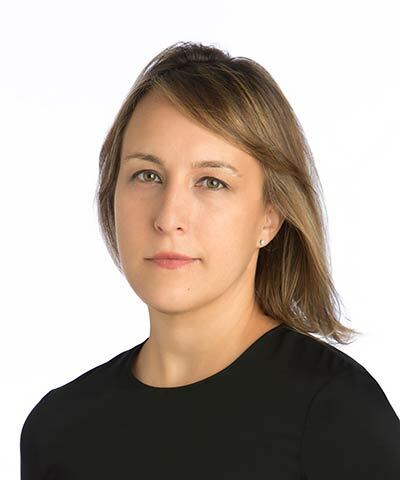 Laura Gitman spearheads BSR’s New York office, working with global companies across a range of industry sectors and sustainability issues. 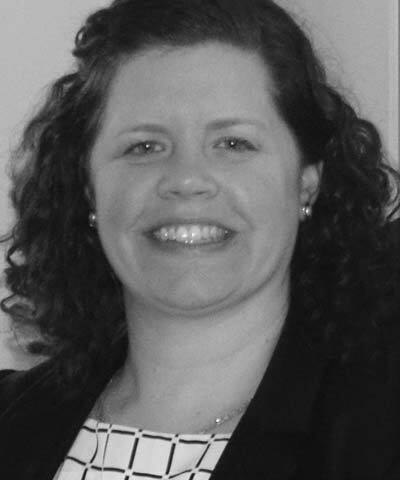 A member of BSR’s executive committee, she oversees global membership strategy and services. Gitman runs senior-level sustainability strategy workshops and multistakeholder forums, she launched BSR’s global financial services and media practices, and she has published reports on environmental, social, and governance (ESG) integration in mainstream investing, as well as sustainability integration and leadership. From 2006 to 2010, she facilitated the Electronic Industry Citizenship Coalition (EICC), growing the EICC from 15 to more than 50 companies. 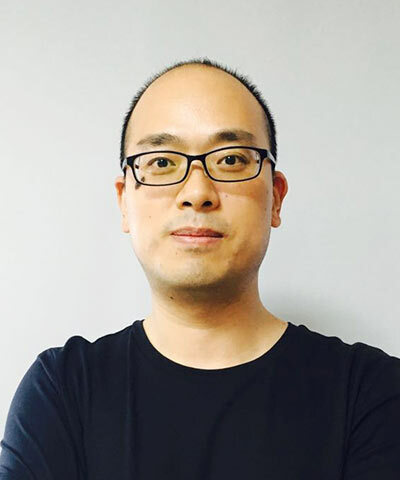 Previously, Gitman worked for Deloitte Consulting, managed a community development project in Ecuador, developed the business strategy for a social venture in Brazil, and worked with the biotechnology sector in Chile. Getting the sustainability message out means building your social media presence. This interactive session will help you get started, craft a compelling profile, and build a platform so you can take your influence to the next level. Cammie Erickson is working to build a purpose-driven culture at LinkedIn. As Head of Employee Engagement for LinkedIn for Good, Erickson works to inspire all 9,000-plus LinkedIn employees across 30 cities to drive social impact through strategic, skills-based volunteering and giving programs. Prior to joining LinkedIn, Erickson spent seven years working in the social sector, first at Ashoka, supporting the work of innovative social entrepreneurs, and then at BSR, as part of the Partnership Development and Research team. Erickson is currently pursuing an MBA at UC Berkeley Haas School of Business, where she is a Forte Fellow and 2014 Public Service Scholarship Recipient. 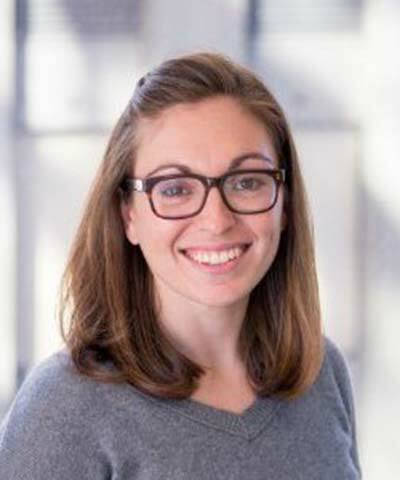 Emily Baseman leads social media strategy across social impact, consumer, and healthcare with Weber Shandwick. She currently focuses on leading content creation to support Bank of America’s corporate communications programs including women’s empowerment and financial inclusion, philanthropic giving, and diversity. She also has experience in leading strategy and managing teams across digital executive visibility, influencer relationship management, and community management. Baseman’s clients have included UNICEF, McCormick, Campbell’s Soup Company, USPS, Holiday Inn, Johnson & Johnson, Centers for Disease Control, Prudential, and W. K. Kellogg Foundation. 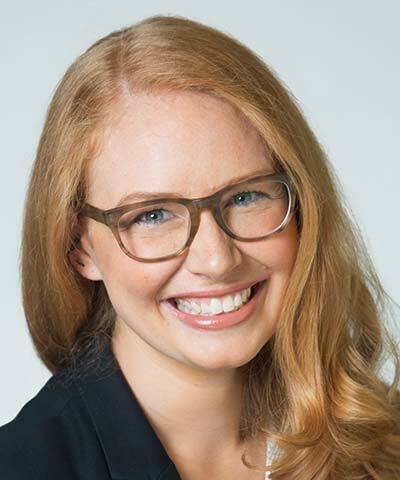 Julia Robinson leads BSR's social media strategy and executes the organization's strategy for thought leadership and marketing, including editing the BSR blog. She also has contributed to research and sustainability reports for BSR members and clients. Previously, Robinson worked in Cape Town, South Africa, for mothers2mothers, an NGO that employs women living with HIV as peer educators to end pediatric AIDS. Prior to that, she worked in Sierra Leone for the West Africa Fistula Foundation, a nonprofit that provides surgery, medical care, and psychosocial support to women suffering from obstetric fistulas. So You Want to Be a Social Media Star? Getting the sustainability message out means building your presence on social media platforms. But what first steps should you take when you’re just starting out building a profile for yourself or your business or organization? And once you’ve established your presence, how do you take it to the next level? This interactive training, led by BSR’s social media manager and other experts, will provide tips, hidden secrets, and hands-on exercises to share how to use social media platforms to build your personal or organizational brand, connect with the sustainability community, and advance the sustainable business agenda. This session will primarily focus on Twitter and LinkedIn. Bring a smartphone or laptop to participate in a few interactive exercises, and follow the conversation at #BSR16social. Companies like to showcase their brand by leading and participating in events, but what do these gatherings say about how your business approaches diversity, health and wellness, and environmental sustainability? Hear case studies from BSR and others to develop a sustainable event policy that’s right for your company. 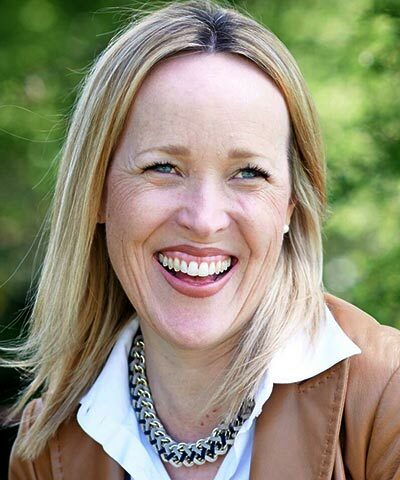 With more than 17 years of experience in the hospitality, meetings, and events business, Carole Garner brings a rich background in corporate and nonprofit event planning, marketing, and management to MeetGreen. During her tenure, she has been responsible for meeting management and training, and she oversees the Conference Management Department. Prior to joining MeetGreen, Garner was President of Specialized Meetings & Events, Inc., a full-service professional event-planning company with offices in Bend and Portland, Oregon. 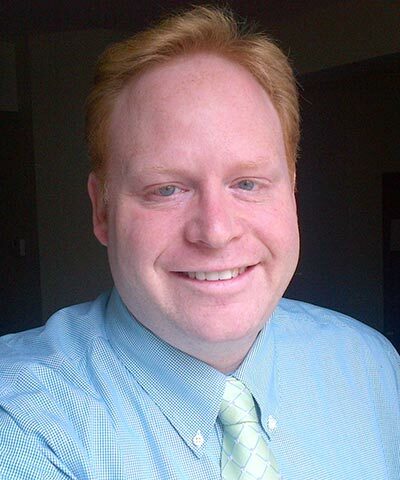 Garner is also Founding Editor of the Meeting Vision, an online publication to educate junior planners and administrative staff on best practices in the meetings industry. 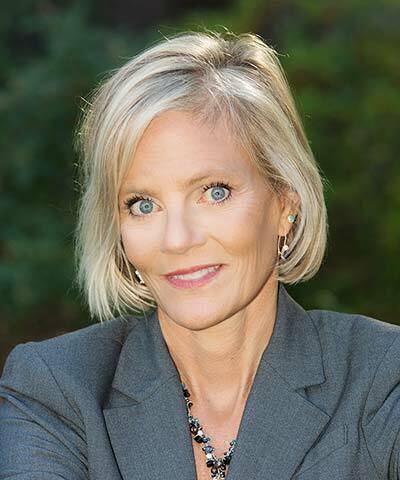 Her articles and planning advice have appeared in national publications such as the Meeting Professional, MeetingsWest, Meeting Ideas, and Oregon Business magazine. 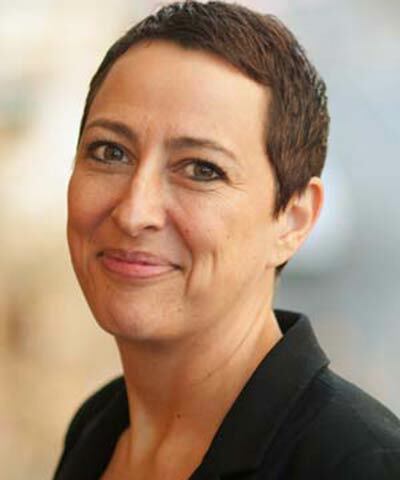 Internationally known as a trailblazer in sustainable events, Nancy Zavada is President of MeetGreen, a full-service sustainable event planning and consulting firm that collaborates with BSR to put on the annual BSR Conference. A decade after founding MeetGreen, Zavada cofounded the Green Meeting Industry Council. 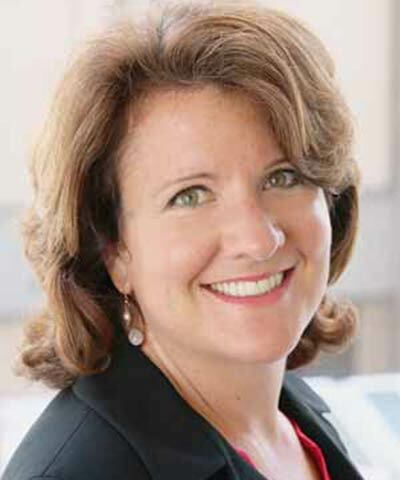 In 2012, she was awarded the “Top 25 Women in the Meetings Industry,” and in 2015, she was named one of 22 “Meetings Trendsetters.” Zavada’s latest book is Meet Better: 167 Easy Ways to Make Your Events More Environmentally and Socially Responsible. Companies like to showcase their brand by leading and participating in events, but what do these gatherings say about your business? Participants examine social and environmental issues related to every aspect of events—from the diversity of the speakers, to the healthiness of the food, to whether the location requires heavy-emitting transportation. Considering these factors, your event could be an overlooked marketing opportunity or a public image nightmare. This interactive session will use case studies from BSR and other industry leaders to help you evaluate opportunities, develop a sustainable event policy that’s right for your company, and understand which key performance indicators are the best measurements for sustainability reporting. You will walk away with a sustainable event policy template and a draft of minimum guidelines for your company. New technologies are helping companies produce more with less labor, but what does that mean for workers? Explore how to use automation while ensuring that employment is maintained, new skills are developed, and communities retain the economic vitality they need to thrive. 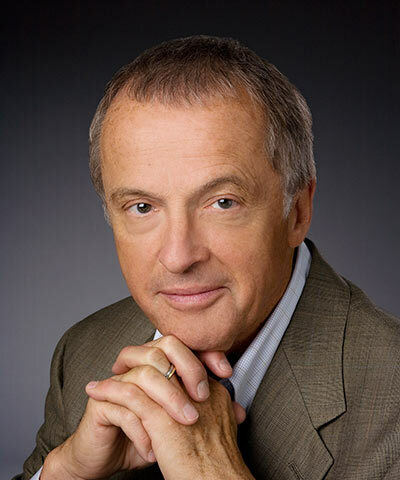 Frank Koller is an author and former foreign correspondent who spent decades covering economics for the Canadian Broadcasting Corporation. His book, Spark, examines the corporate addiction to layoffs that fueled much unnecessary unemployment since the Great Recession. The book shares lessons from Lincoln Electric, a highly profitable Fortune 1000 multinational company that maintained global dominance in welding for a century without laying off employees. Spark won praise from the Wall Street Journal, Harvard Business Review, economists, and unionists. Koller writes for the Huffington Post, PBS-TV’s Making$ense, and MotleyFool, and he lectures across North America. Photo credit and copyright: Courvette/Ottawa. 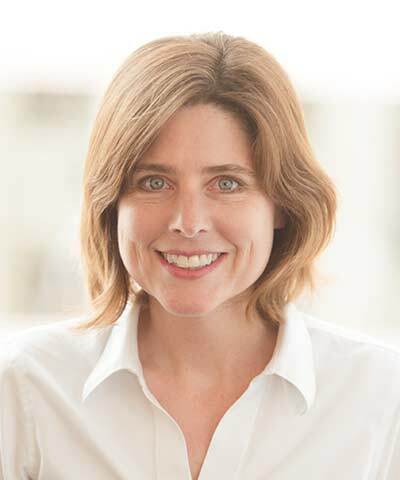 At Microsoft, Susan Hauser’s team drives innovative corporate social responsibility programs on issues such as accessibility, privacy, responsible sourcing, and human rights—all in support of the company’s mission to empower every person and organization on the planet to achieve more. 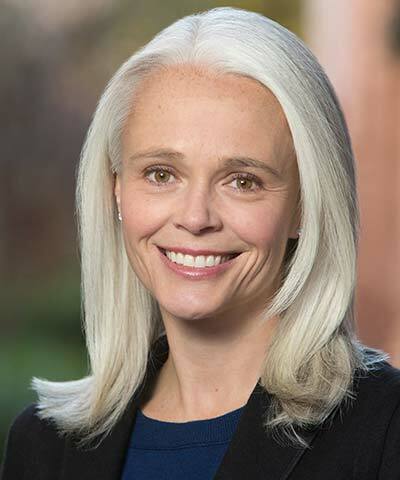 As a 25-year Microsoft veteran, Hauser has held a number of executive positions, most recently as Corporate Vice President of the Worldwide Enterprise and Partner Group, where she helped Microsoft successfully meet the needs of its global customers. She began her career as a special education teacher in the New York City public schools. 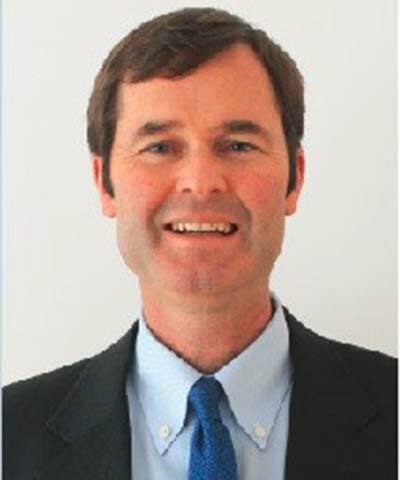 With more than 20 years of sustainable development experience, John Hodges leads BSR's global infrastructure and financial services practices, advising companies on corporate sustainability strategy, responsible investing and project development, and environmental, social, and governance (ESG) risk management. Before BSR, Hodges was Founder and President of SunOne Solutions, a leading carbon project developer in North and South America. He was a staff member in the World Bank's sustainable development group, the Vice President for sustainable development's front office, and served as the infrastructure advisor in the Thailand and Kosovo country offices. He has also held positions in the airline transport industry, with a private infrastructure project developer in Chile, and with an impact investing fund in the Balkans. As more companies integrate technology into core products and services, they must manage tech-related sustainability issues such as data privacy and product recycling. Learn how to address these risks and opportunities. Alice Steenland joined AXA as Chief Corporate Responsibility Officer in September 2008. 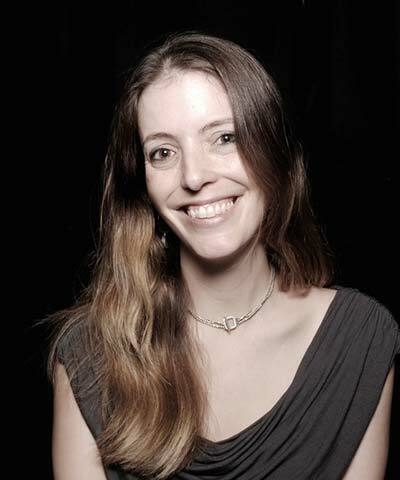 Prior to that, she was Director of Research at Vigeo, a leading environmental, social, and governance (ESG) ratings agency, and before Vigeo, she worked in the business consulting division of Arthur Andersen, and acted as an independent consultant in the field of strategic planning for Save the Children USA. She currently sits on the boards of the UN Principles for Sustainable Insurance and of Admical, the French national association for philanthropy. She is also a member of the Yale School of Management’s Council of Global Advisors. 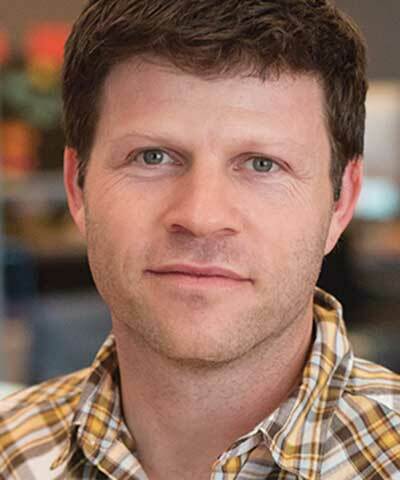 As the Vice President and Global Head of Sustainability for Fossil Group, Robert ter Kuile is responsible for developing, implementing, and communicating the company’s global sustainability program, which aims to help the world to thrive through empowered people, enhanced communities, and doing more with less. 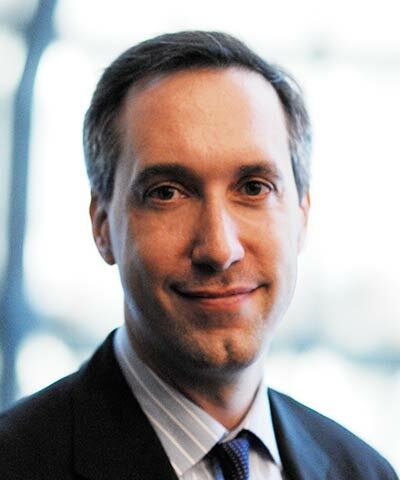 Prior to joining Fossil Group, ter Kuile spent almost 14 years in the global public policy and government affairs, global operations, and Frito-Lay divisions of PepsiCo, where he developed and implemented that company’s sustainability programs across a broad range of initiatives. 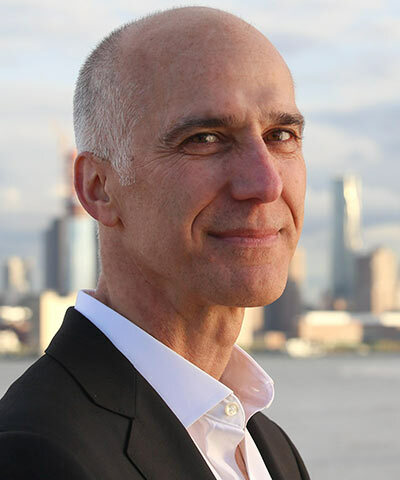 With experience in international management consulting for global corporations, David Korngold works with companies on a range of sustainability and corporate responsibility issues, with an emphasis on strategy and reporting. 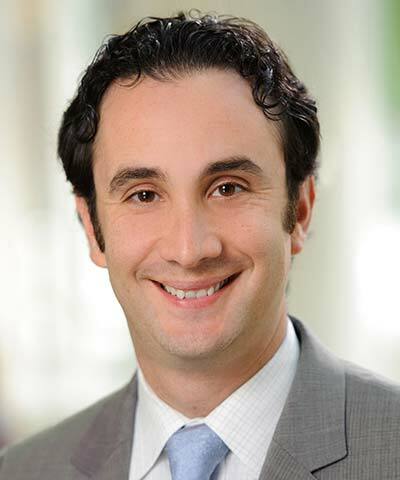 Before joining BSR, Korngold worked in strategy and management consulting at Bain & Company, where he developed evidence-driven approaches to advise companies on issues ranging from operational organization to corporate strategy. His project experience covered a variety of industries, including financial services, technology, healthcare, and consumer products. 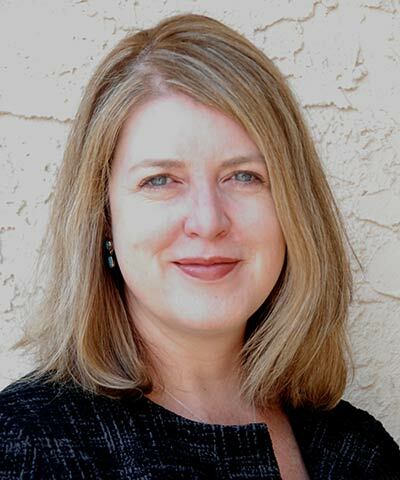 Additionally, Korngold has worked as an independent consultant in sustainability and nonprofit governance. More and more companies are integrating technology into the core of what they do. Industrial companies have rebranded as tech companies, athletic apparel companies have moved into fitness electronics, and toy companies are producing tablet computers, among other examples. As companies integrate technology into products and services, they must manage a raft of technology-related sustainability issues such as data privacy and product recycling. This session will give you a glimpse into the future and perspective on how companies can address the risks and opportunities of integrated technology. Social, political, cultural, and economic inequalities may put women at greater risk in the face of climate change, but women also have the potential to strengthen community resilience. How can the private sector increase women’s adaptive capacity to enhance business and social resilience? 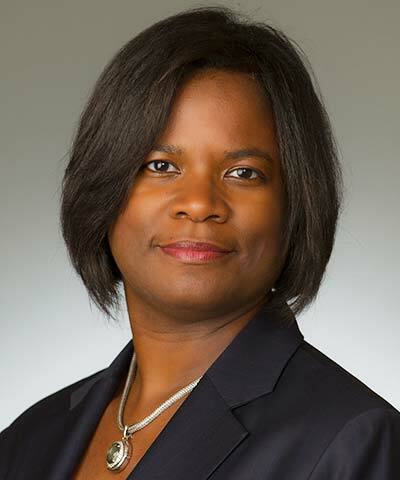 Valerie Smith joined Citi in 2004 and oversees Citi’s global sustainability initiatives, including leading the bank’s sustainability strategy and goals in partnership with the businesses, and providing expertise on related issues and trends. 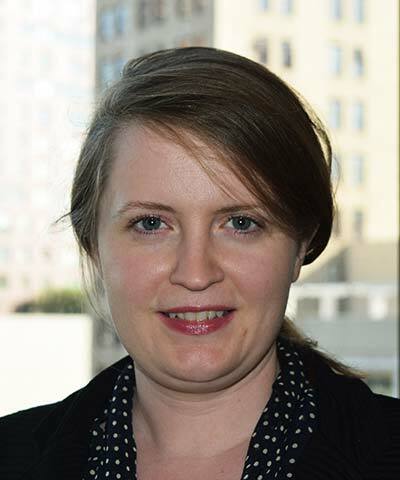 She also leads the development of Citi’s sustainability stakeholder engagement strategy and human rights approach. 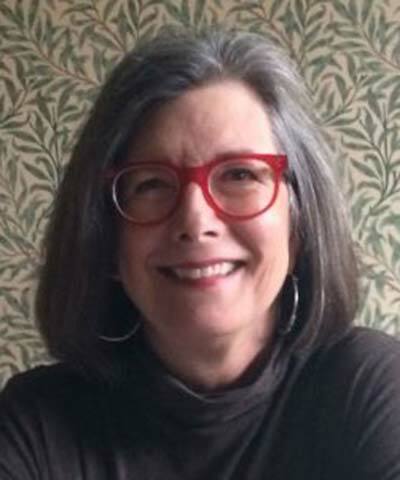 Prior to Citi, Smith worked in the environmental sector, including the National Audubon Society, the Brainerd Foundation, and the Houston Advanced Research Center. She began her career with the U.S. Peace Corps, where she served for two years in Honduras. She serves on the boards of the UN Global Compact’s U.S. Network and the New York League of Conservation Voters Education Fund. 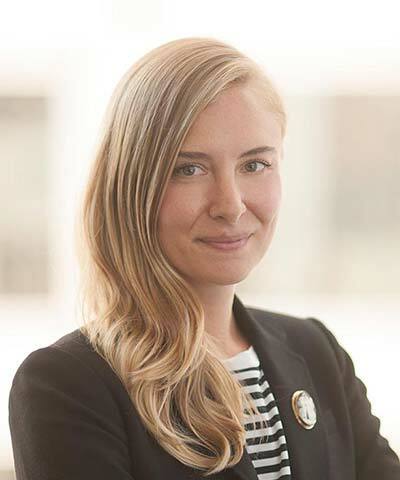 Samantha Harris focuses on climate resilience and emissions reductions for BSR’s climate change practice and related work with the We Mean Business coalition. 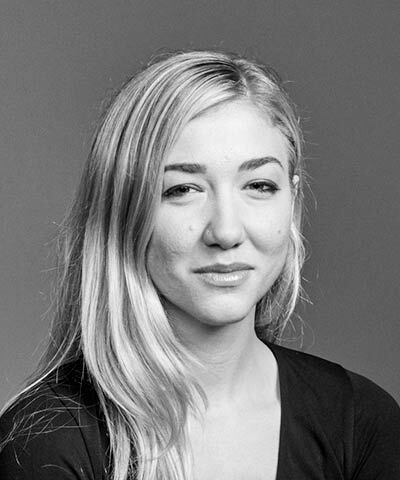 Before joining BSR, she worked on the Climate Action Network policy team, where she drove the development of common positions for hundreds of NGOs during international climate negotiations, focusing on short-term mitigation action, a long-term global goal, climate finance, and low-carbon technology. Harris was previously at the NGO Islands First, advising Pacific small island states on climate change and oceans policy. She began her career as one of the first paralegals in the enforcement division of the U.S. Securities and Exchange Commission.